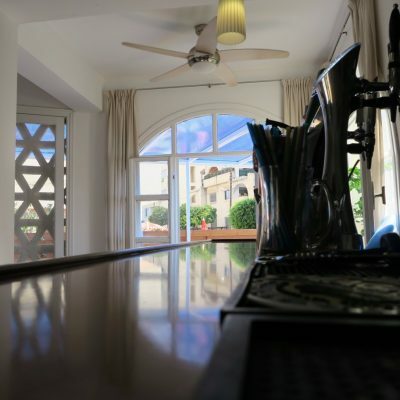 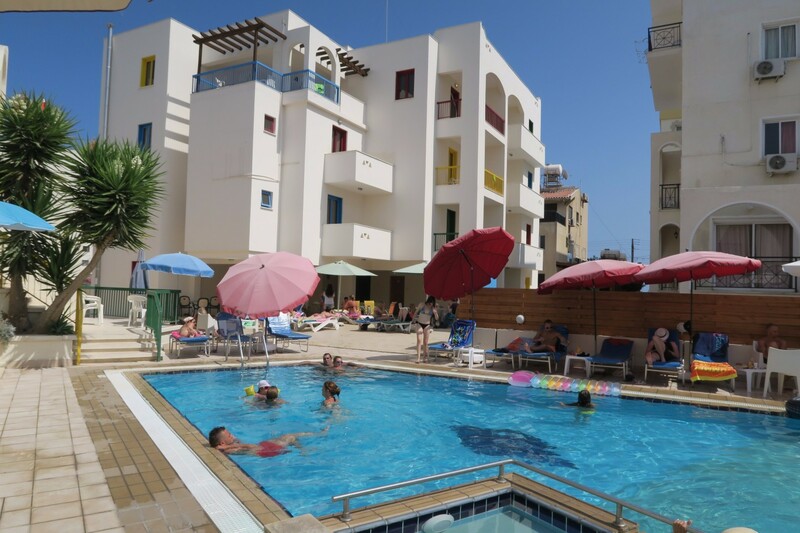 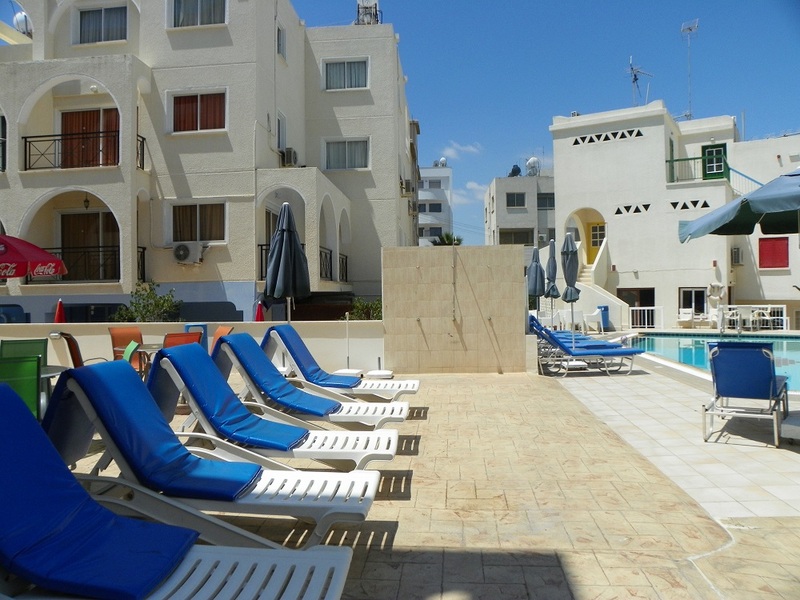 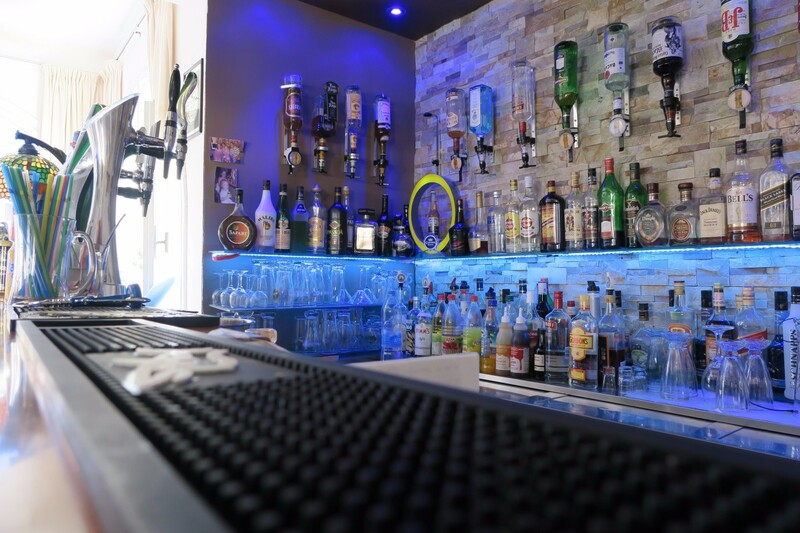 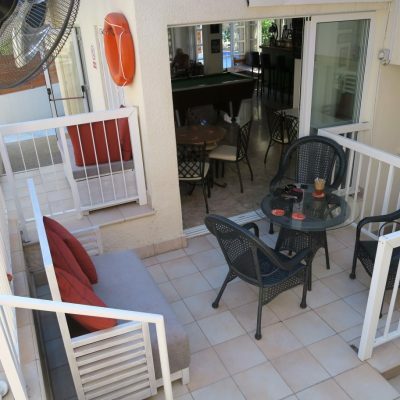 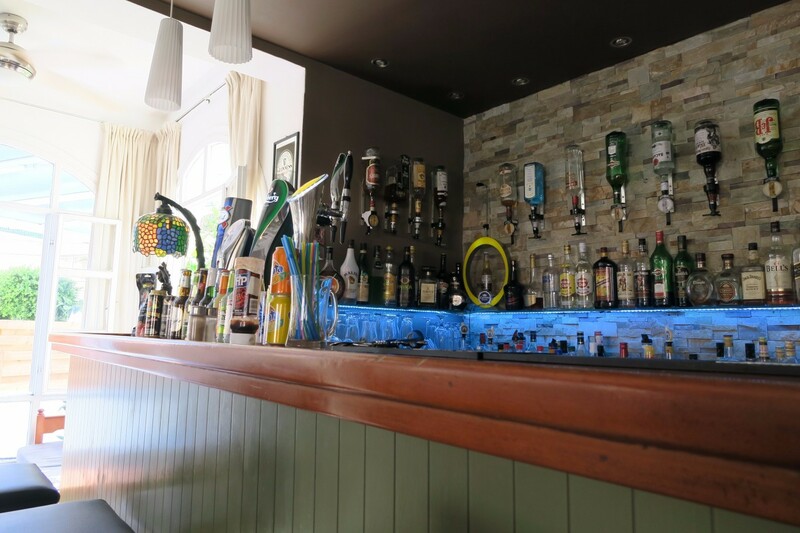 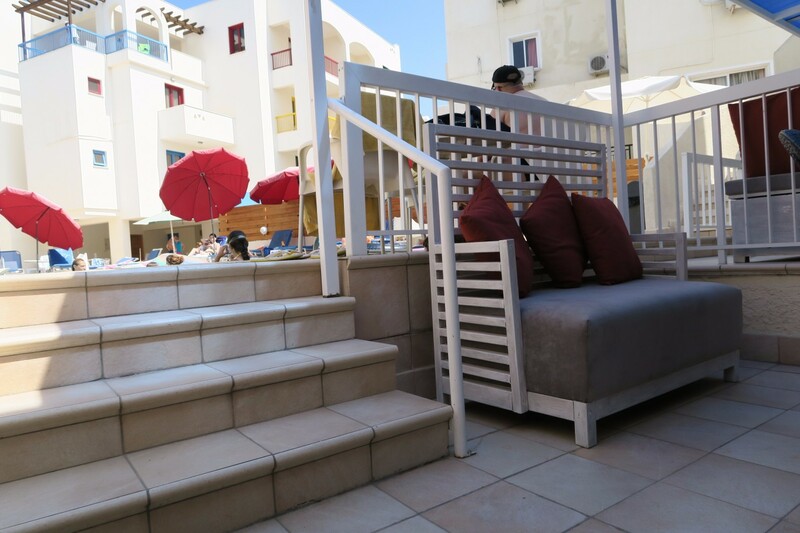 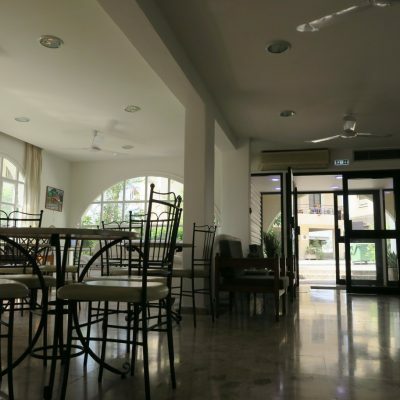 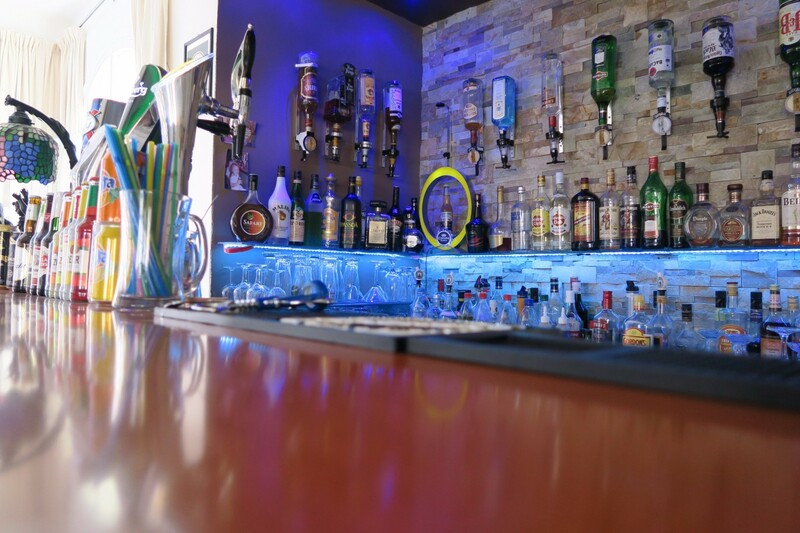 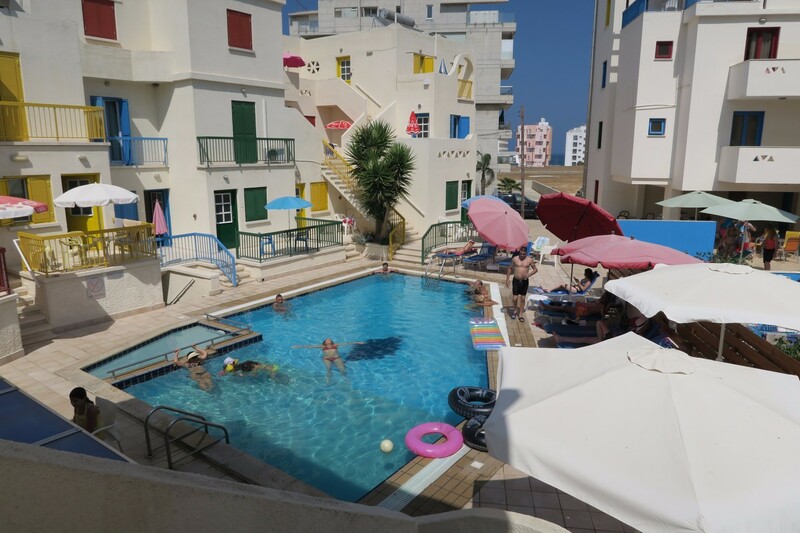 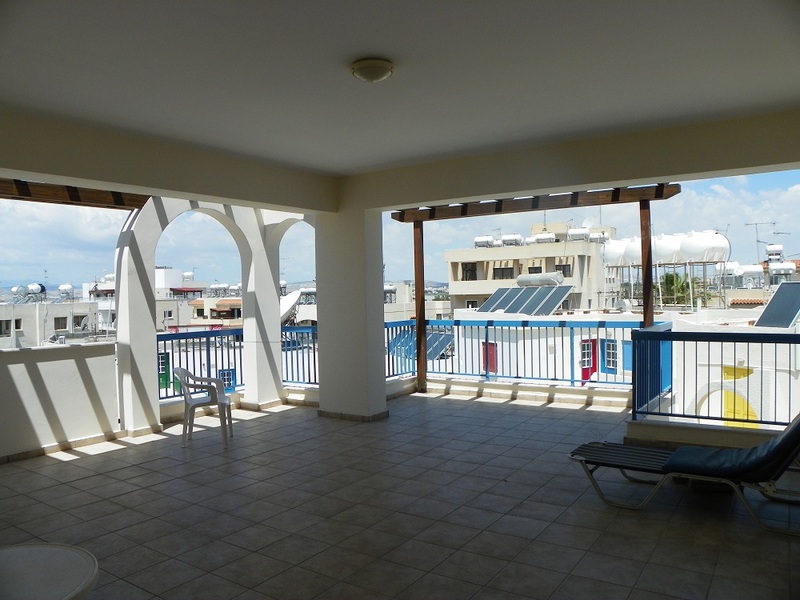 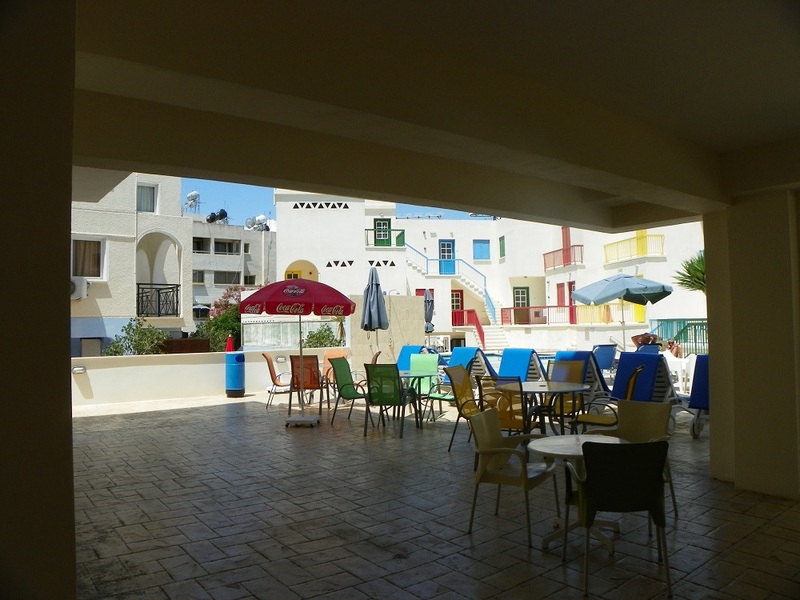 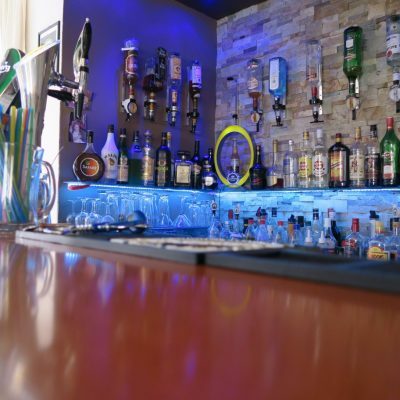 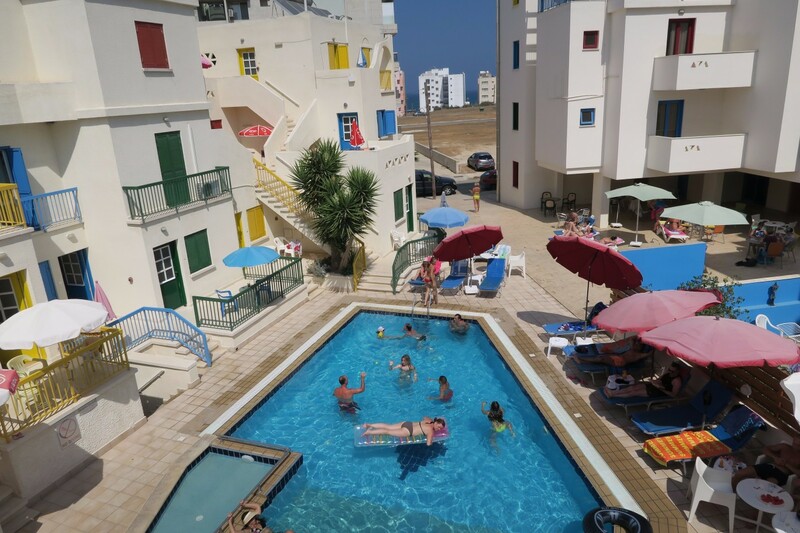 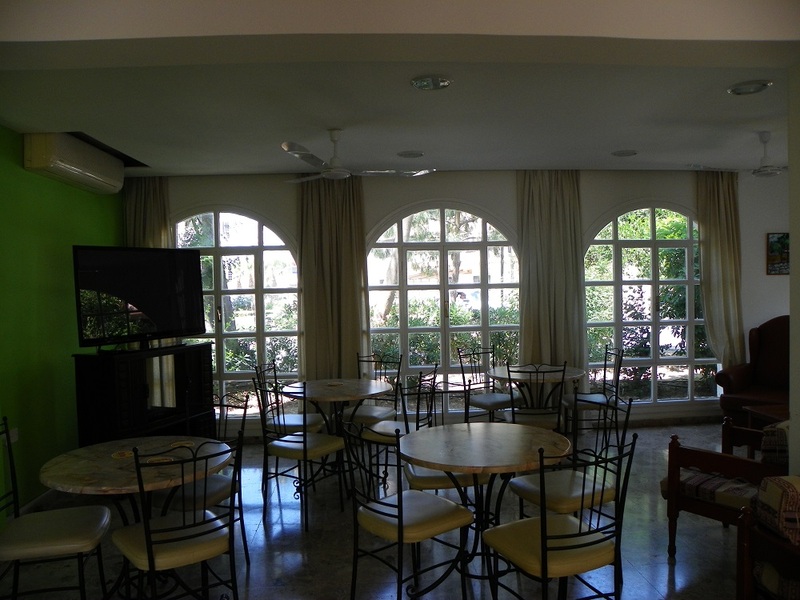 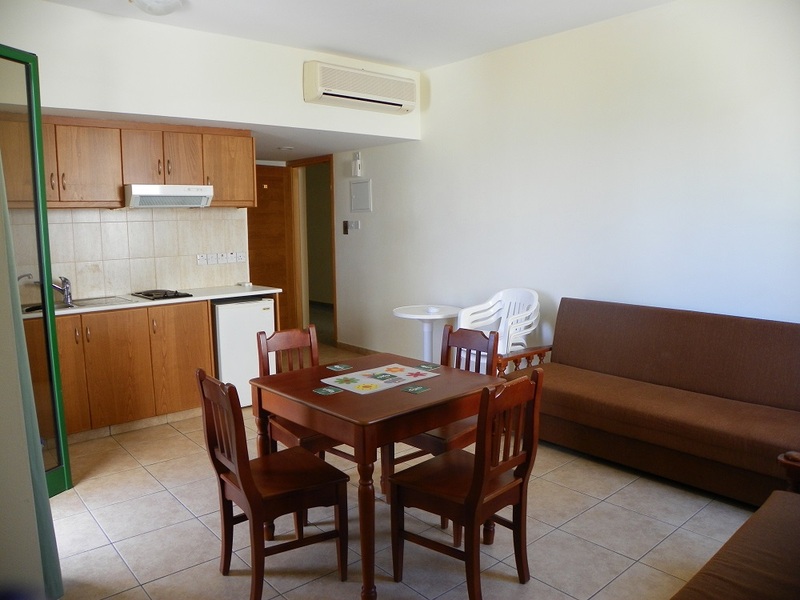 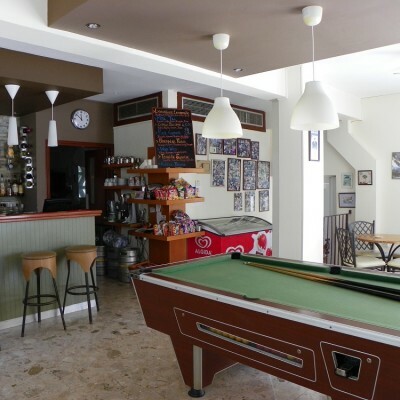 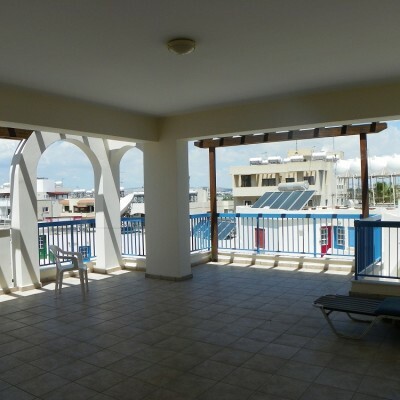 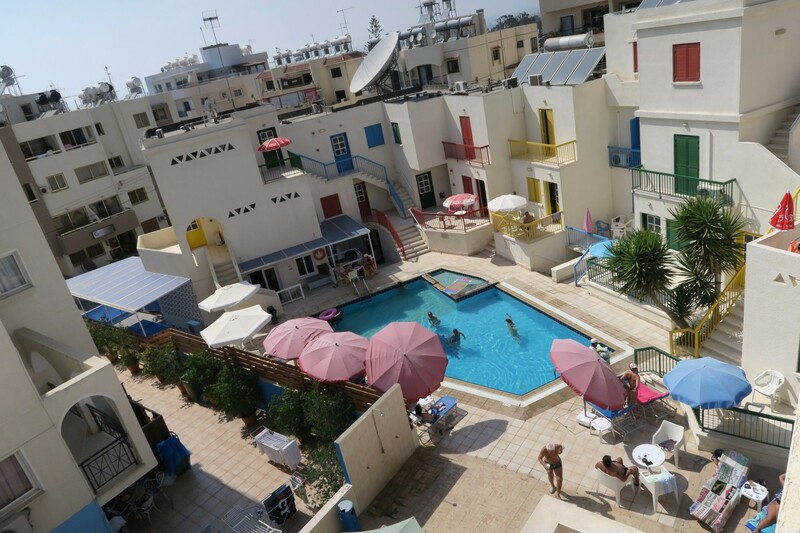 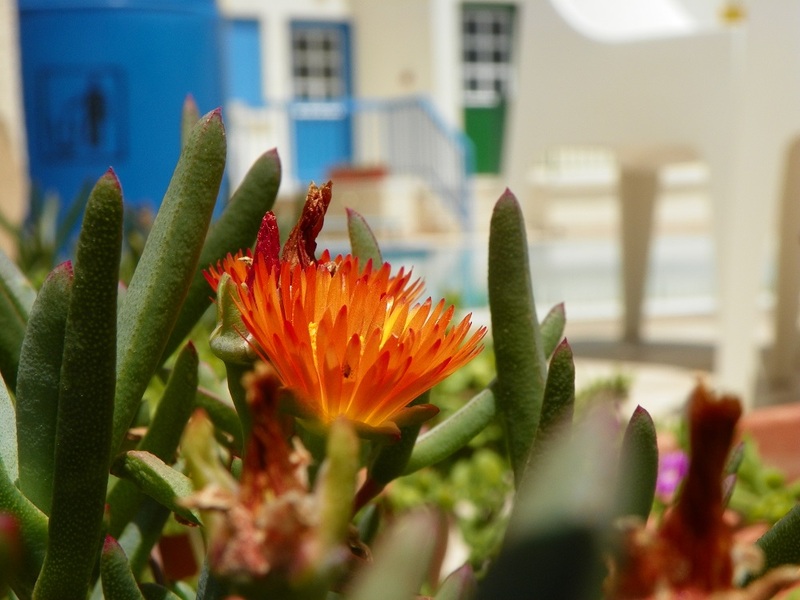 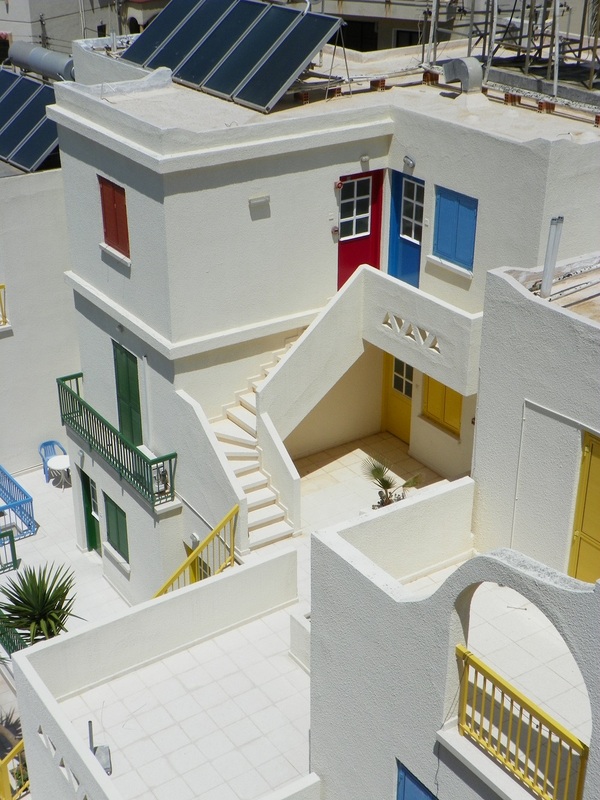 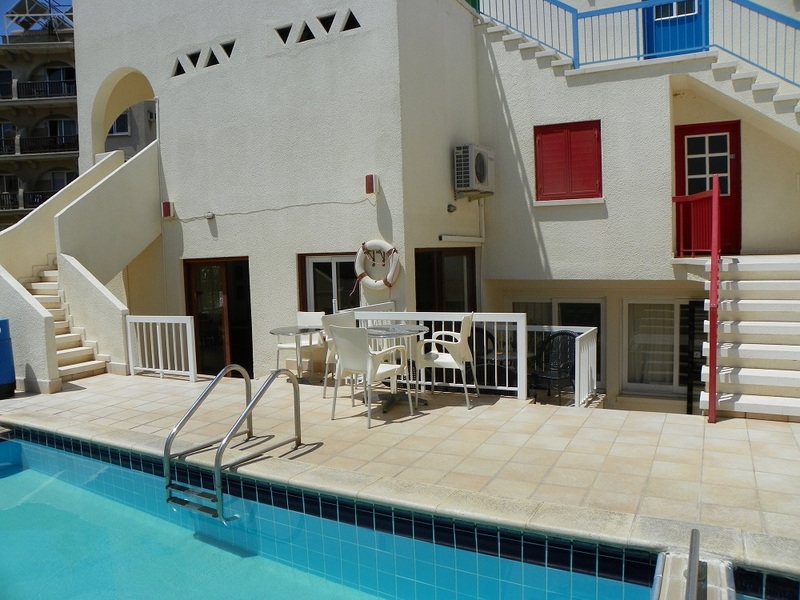 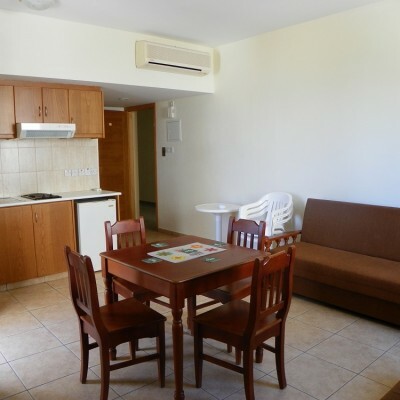 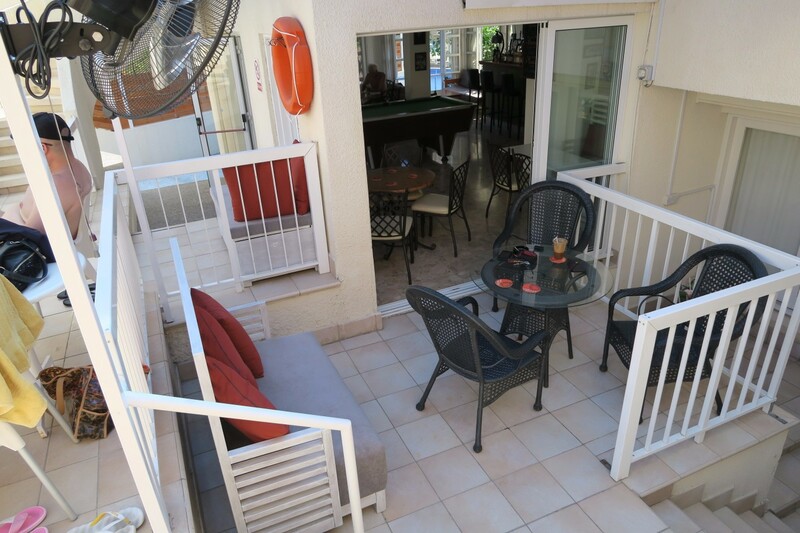 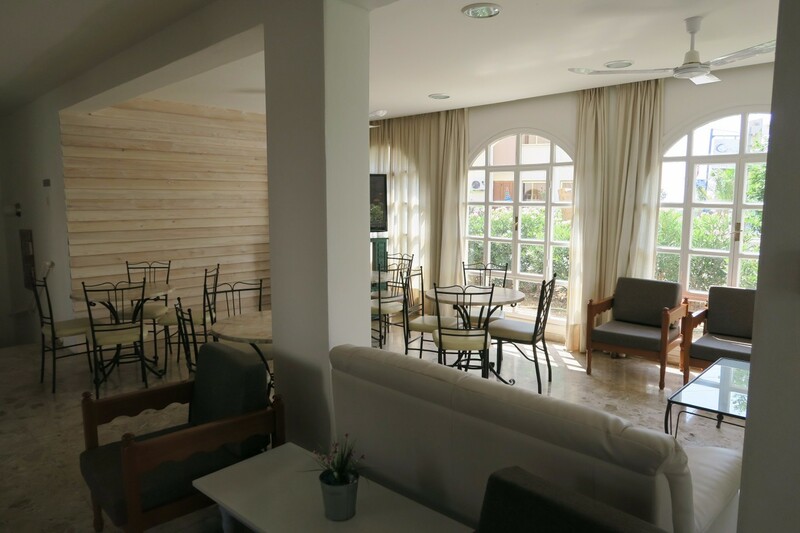 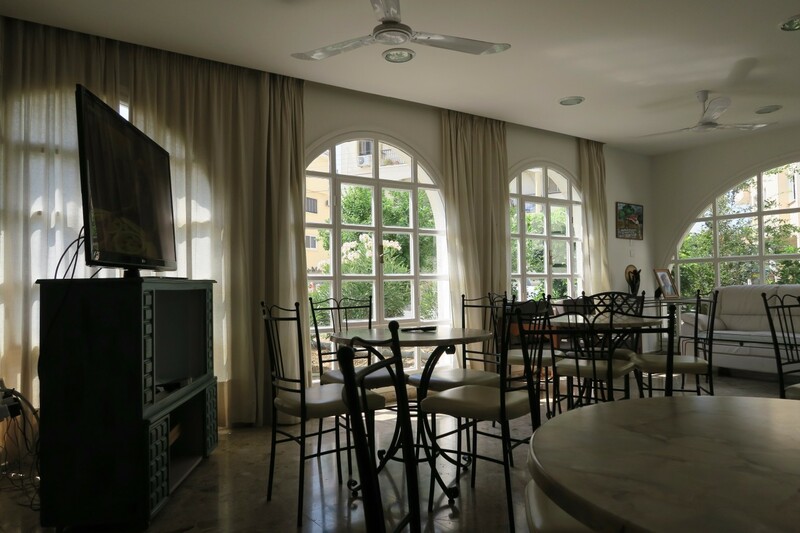 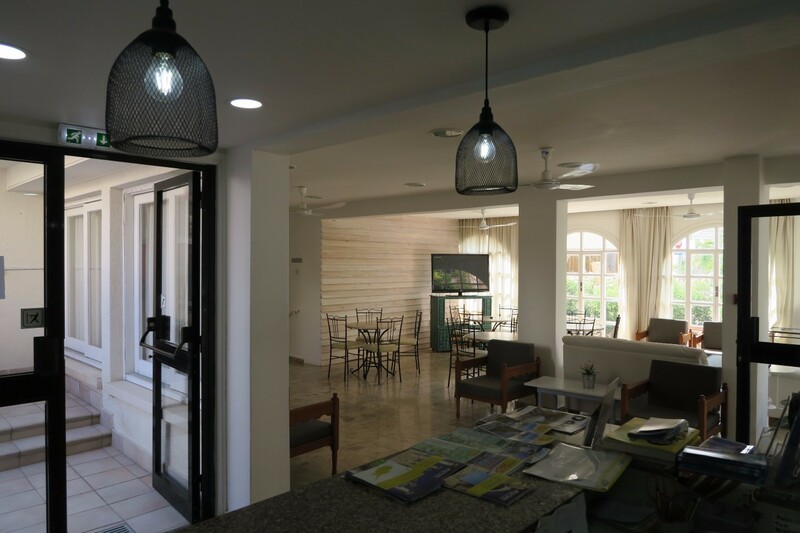 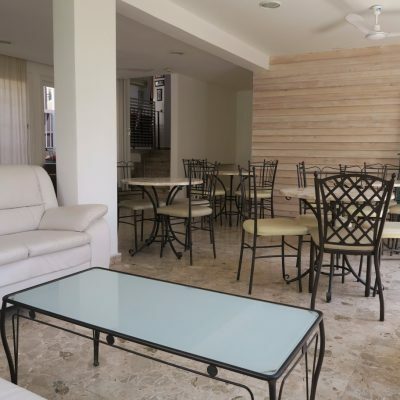 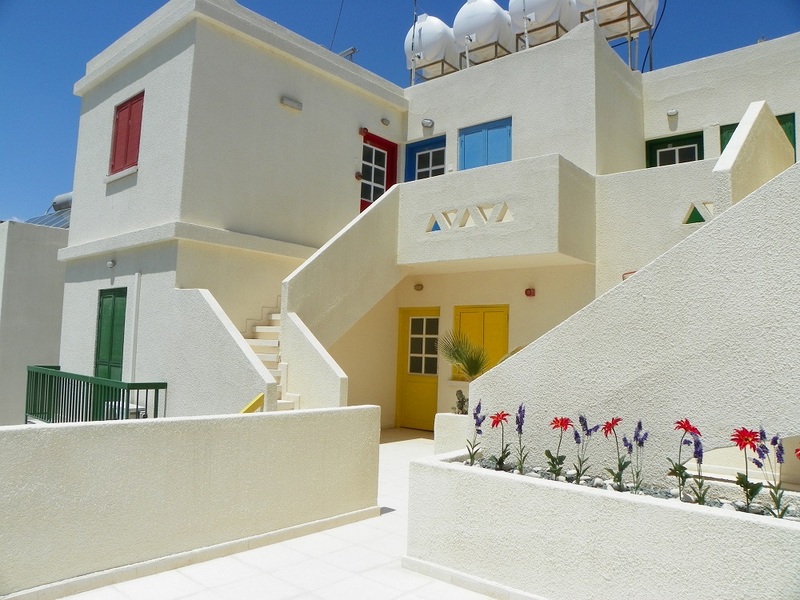 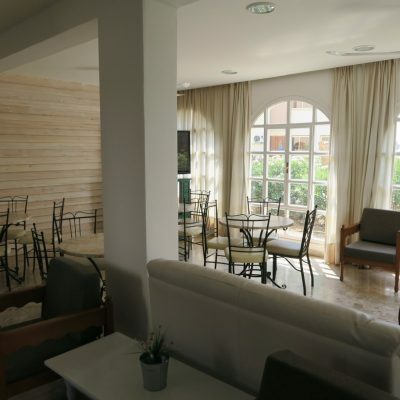 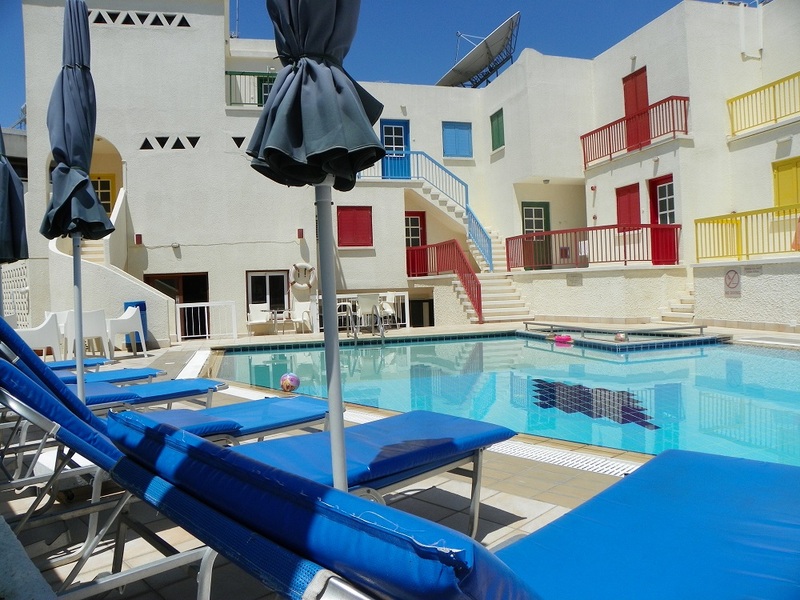 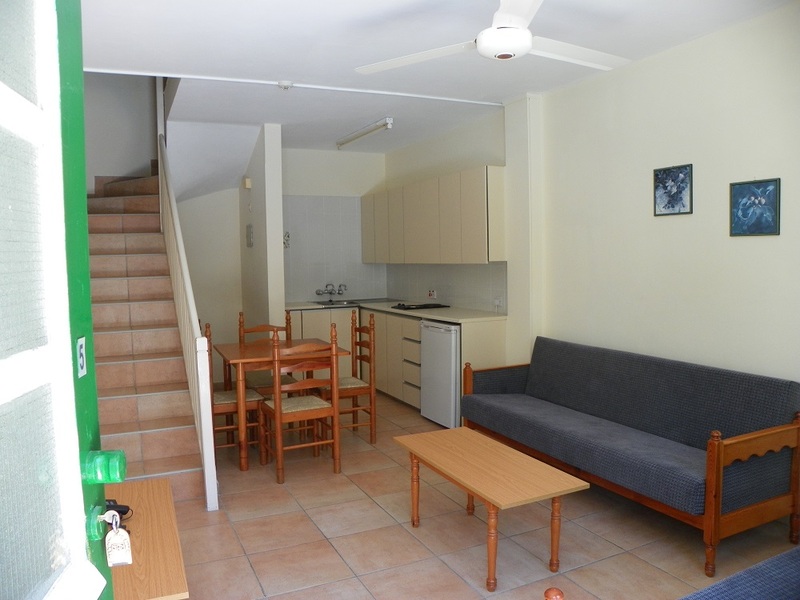 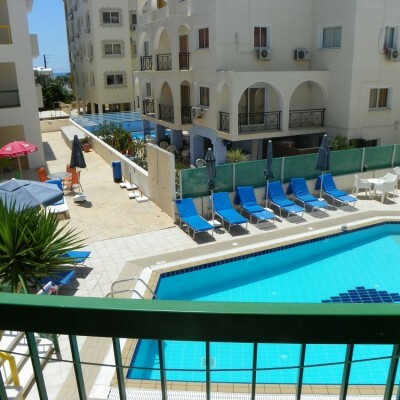 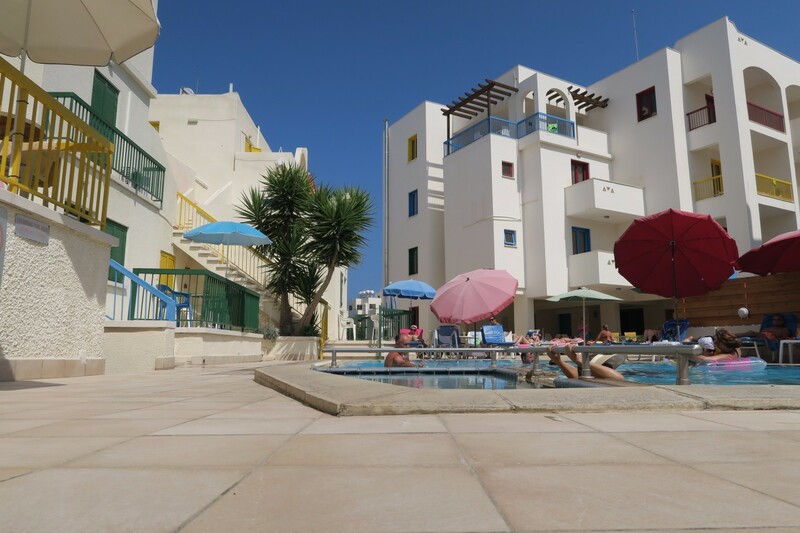 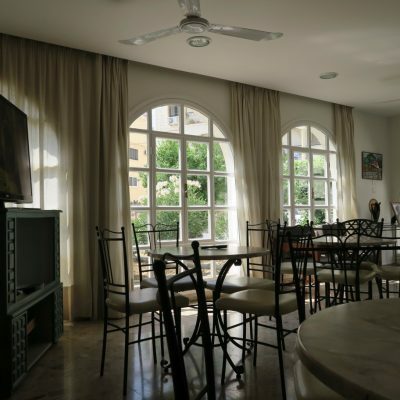 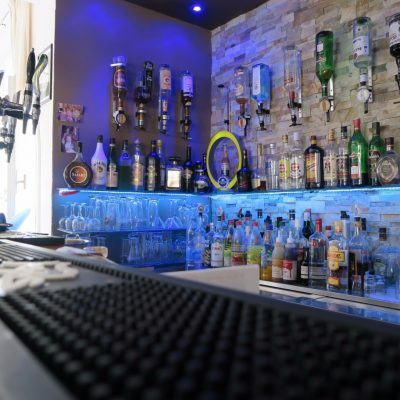 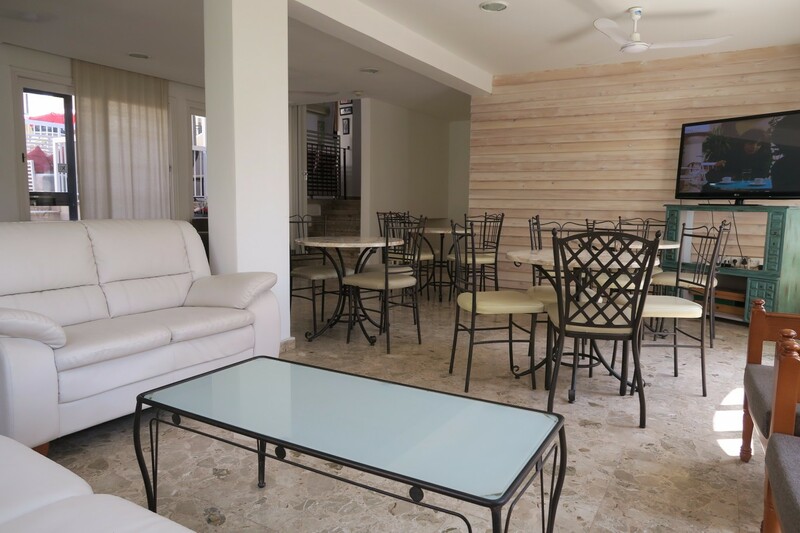 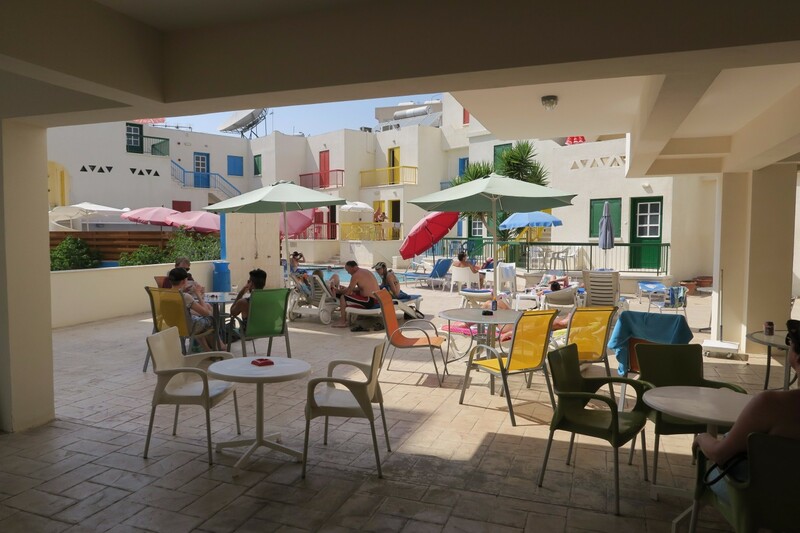 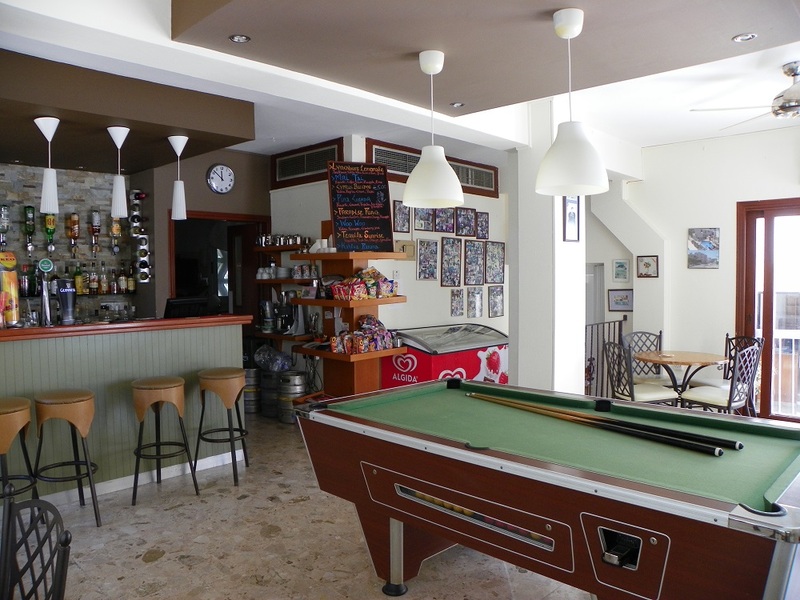 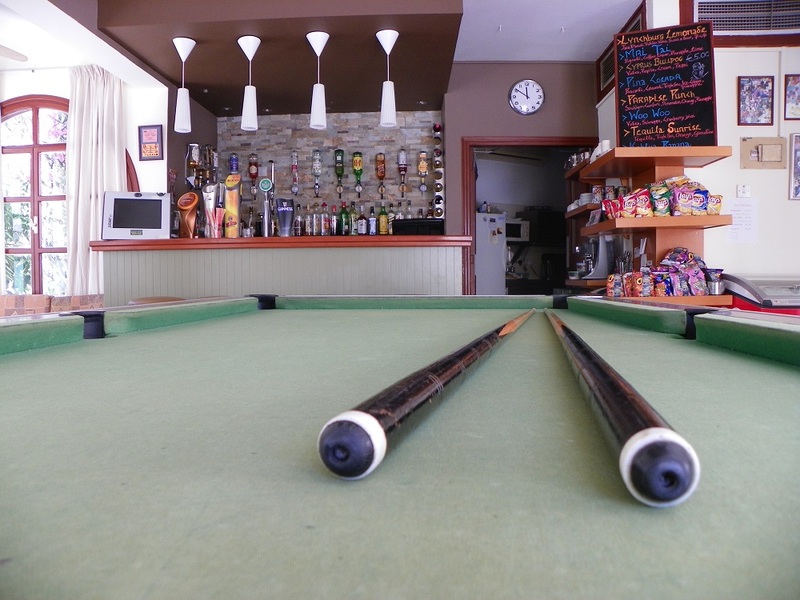 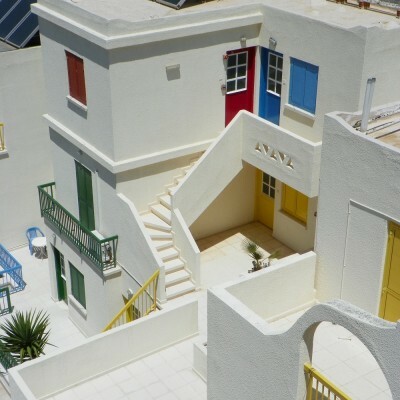 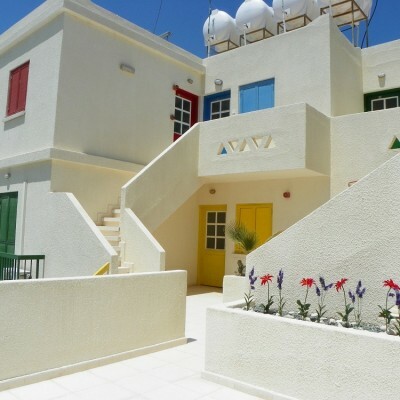 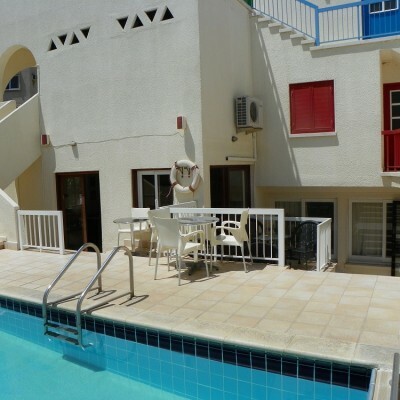 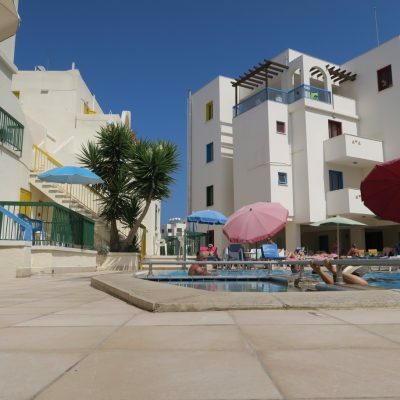 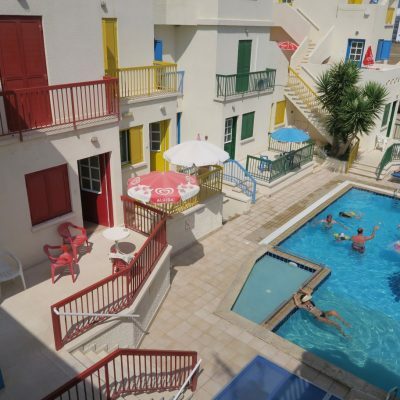 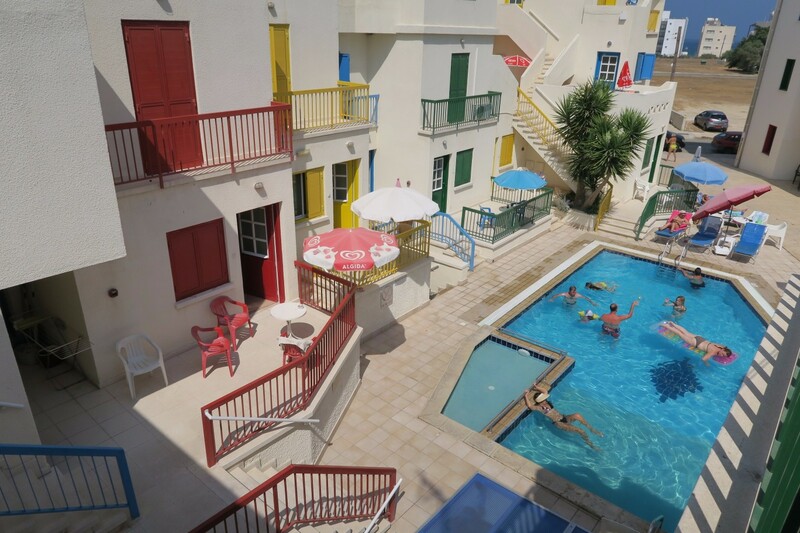 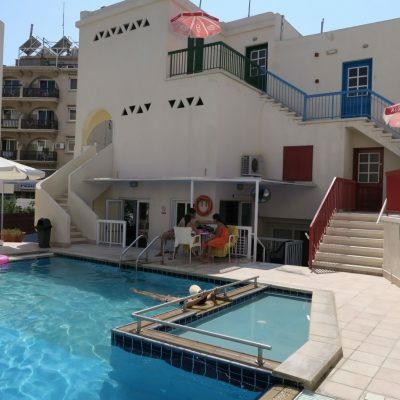 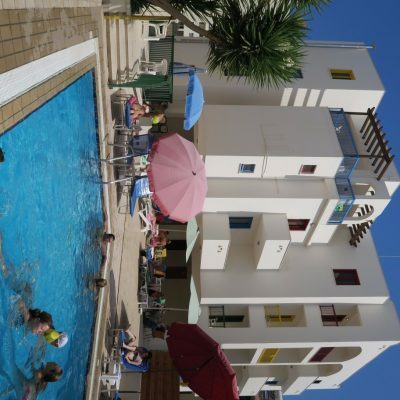 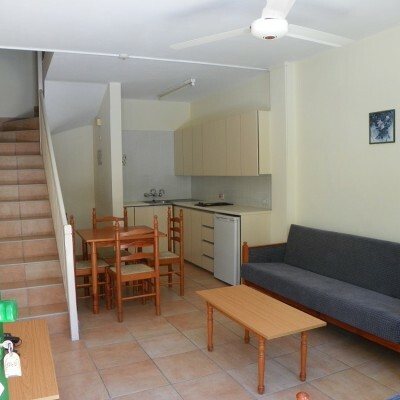 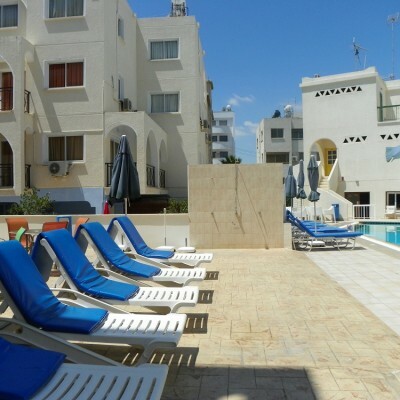 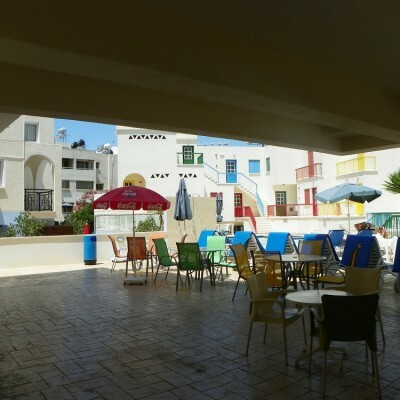 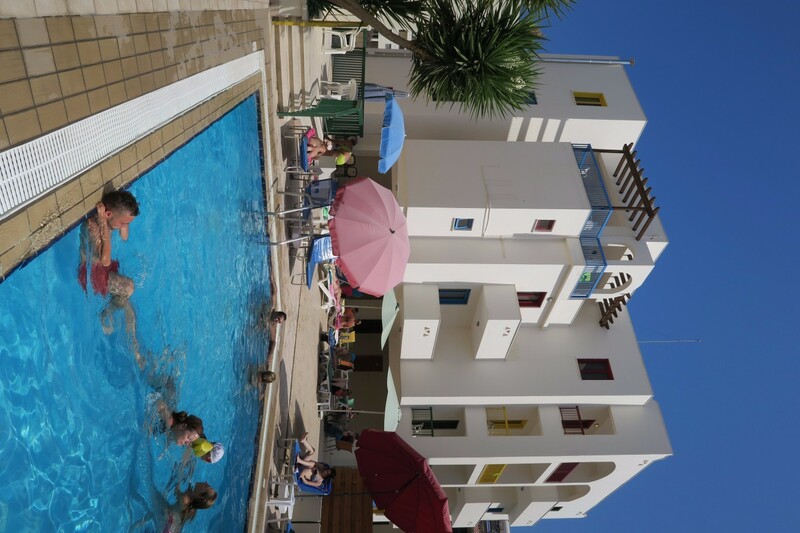 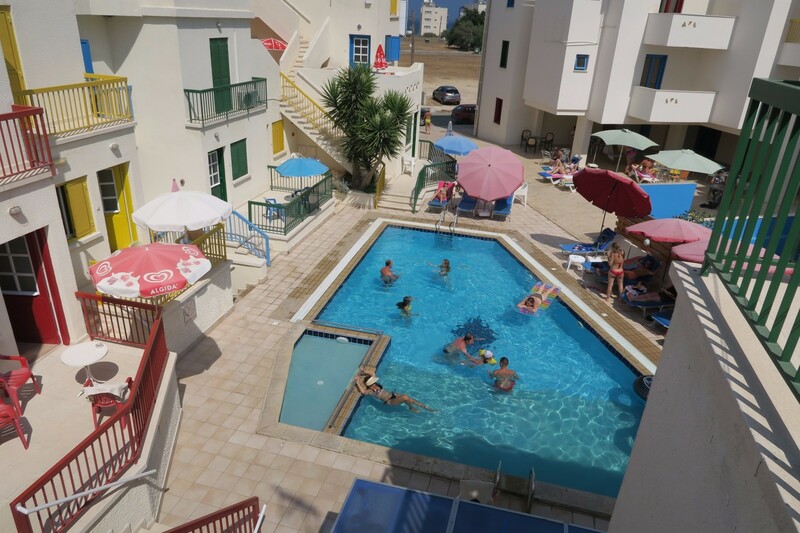 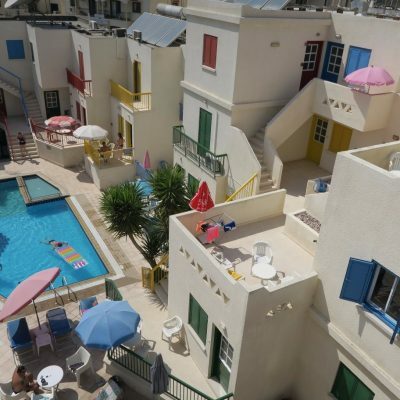 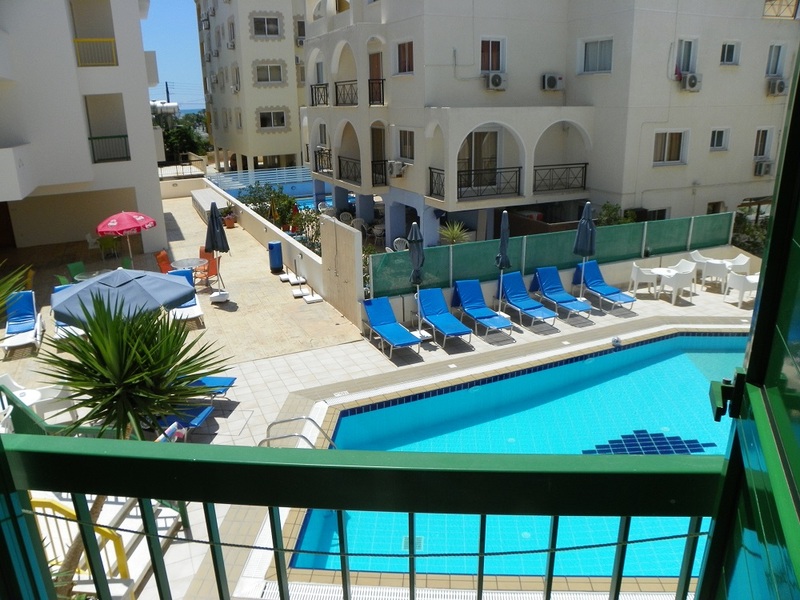 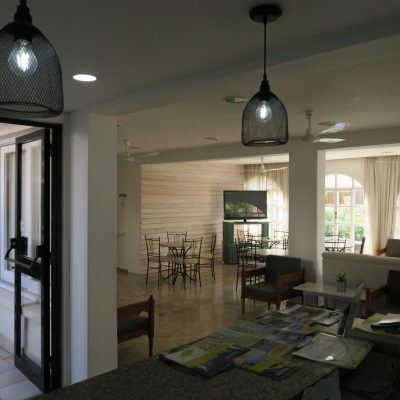 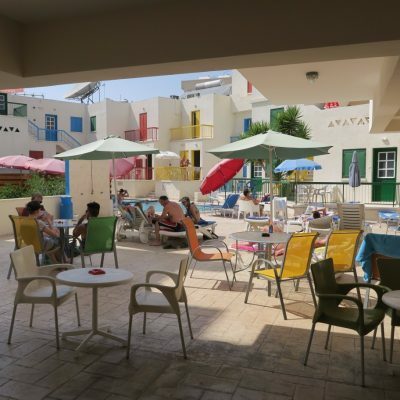 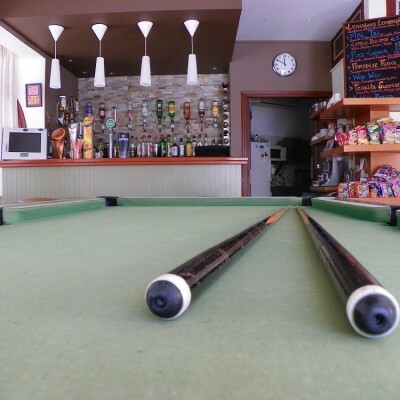 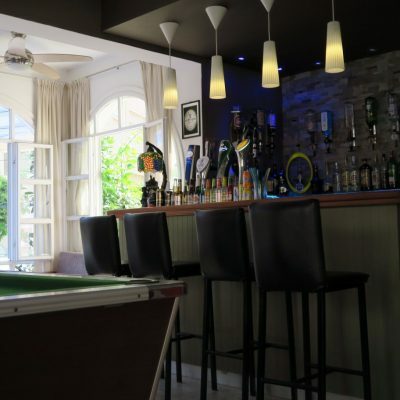 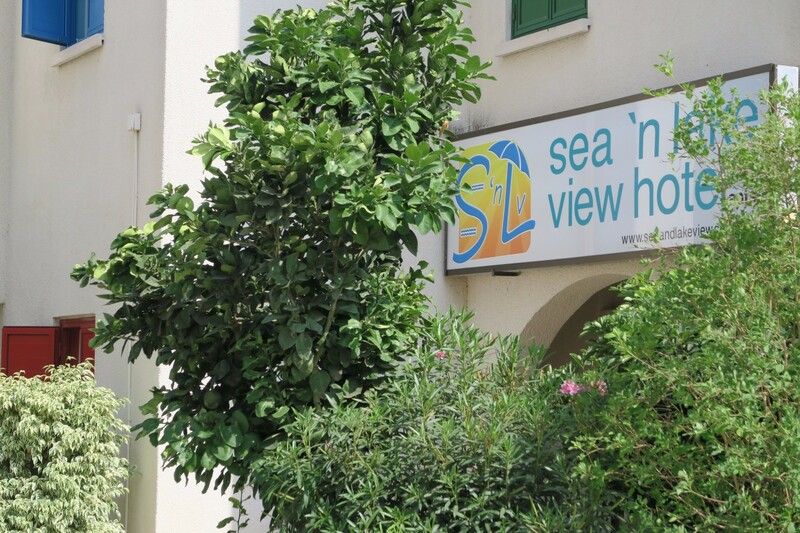 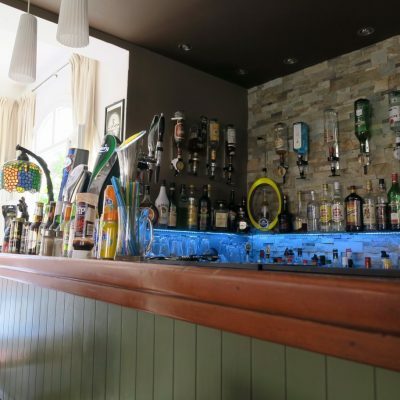 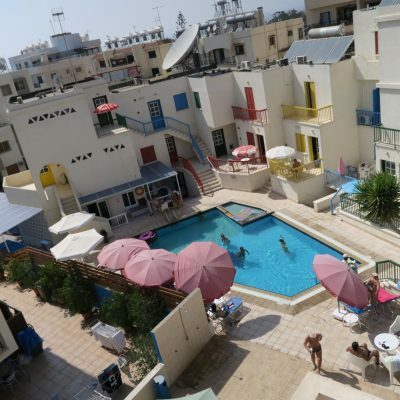 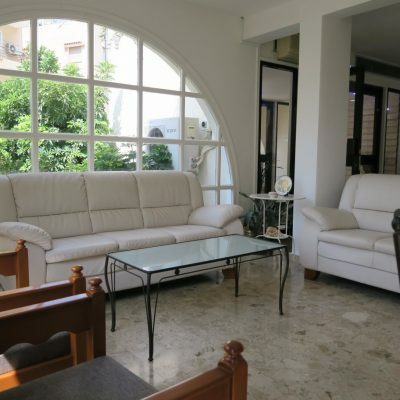 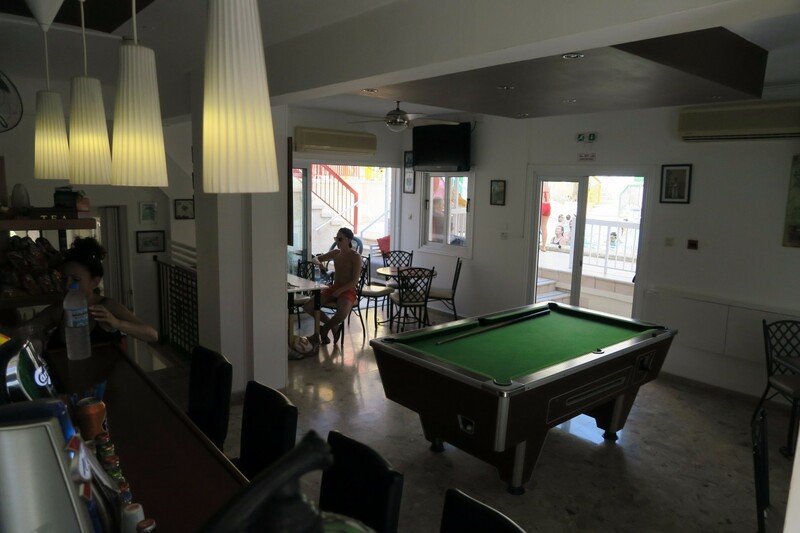 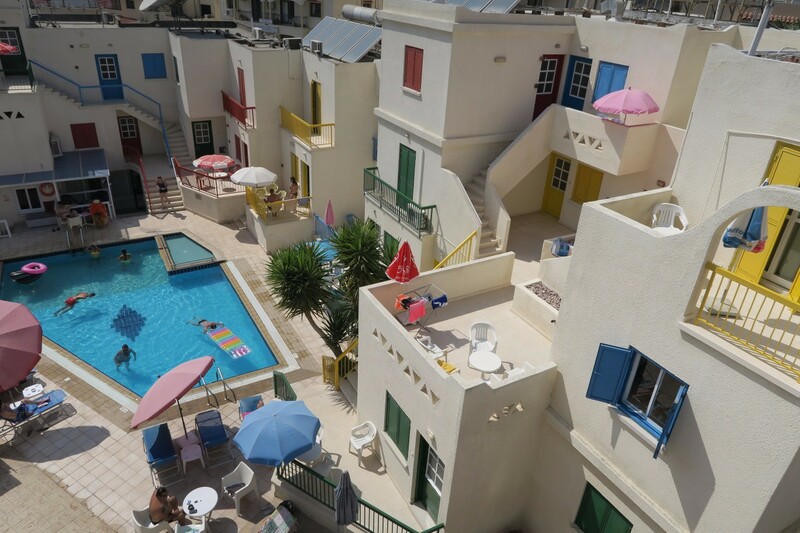 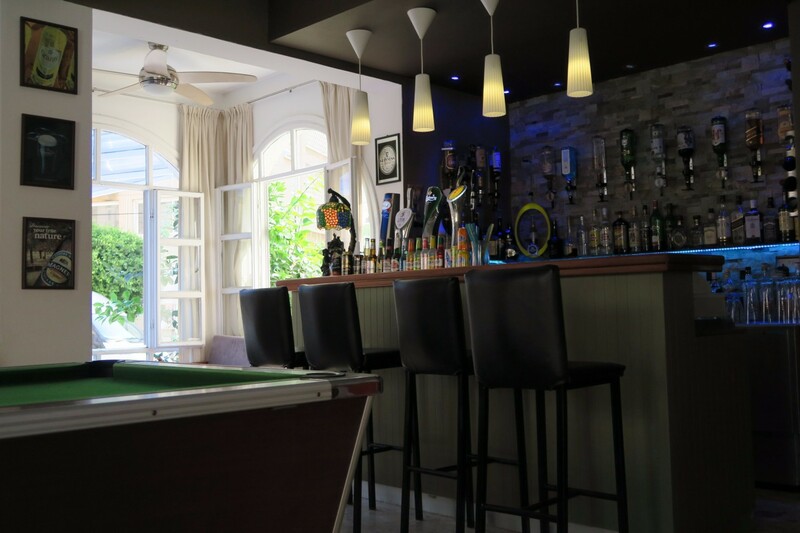 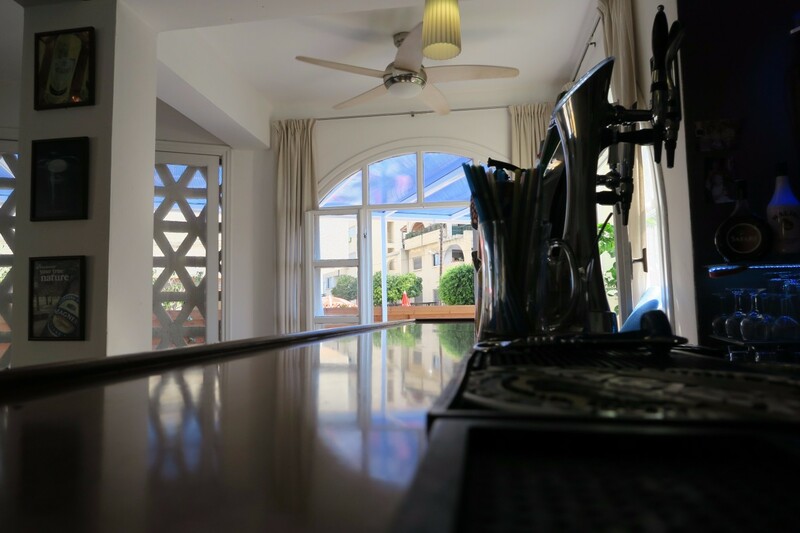 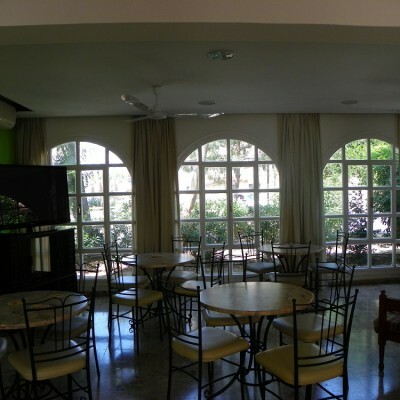 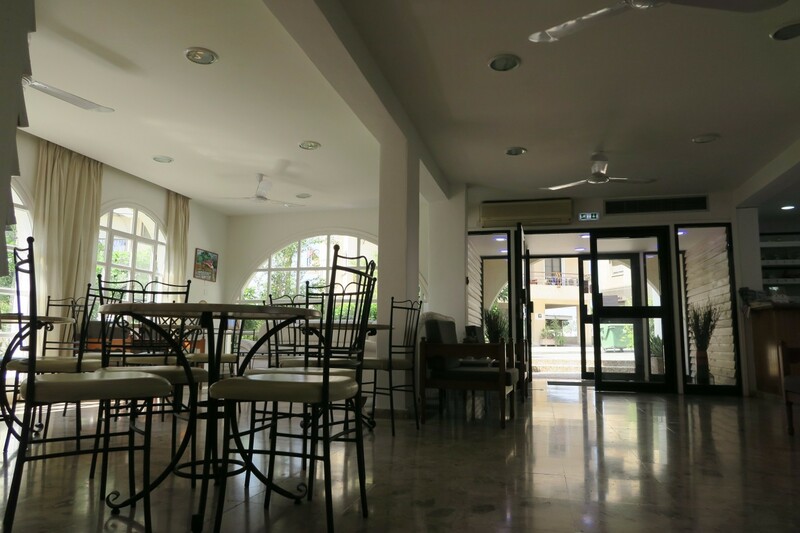 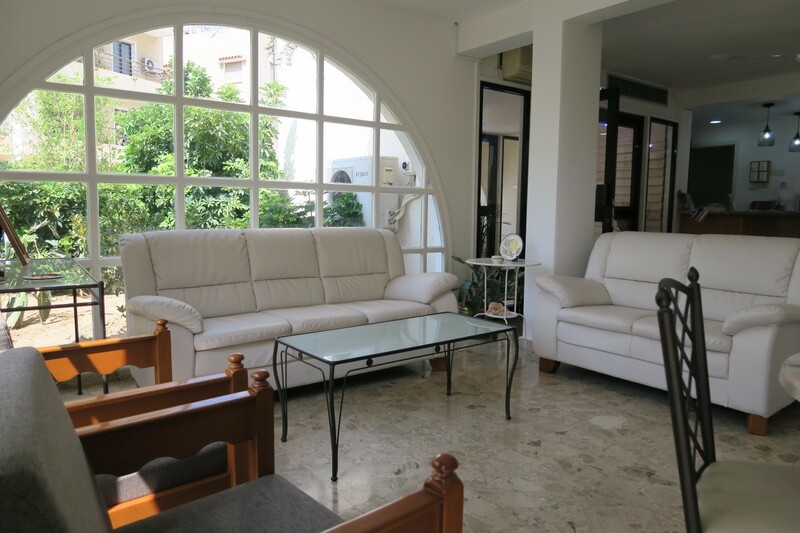 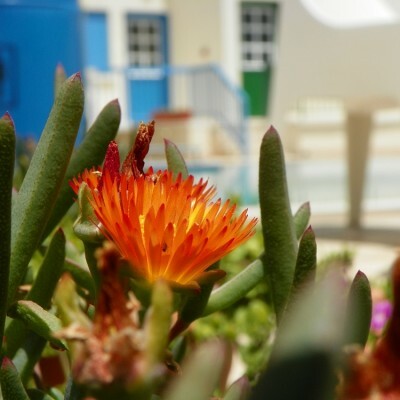 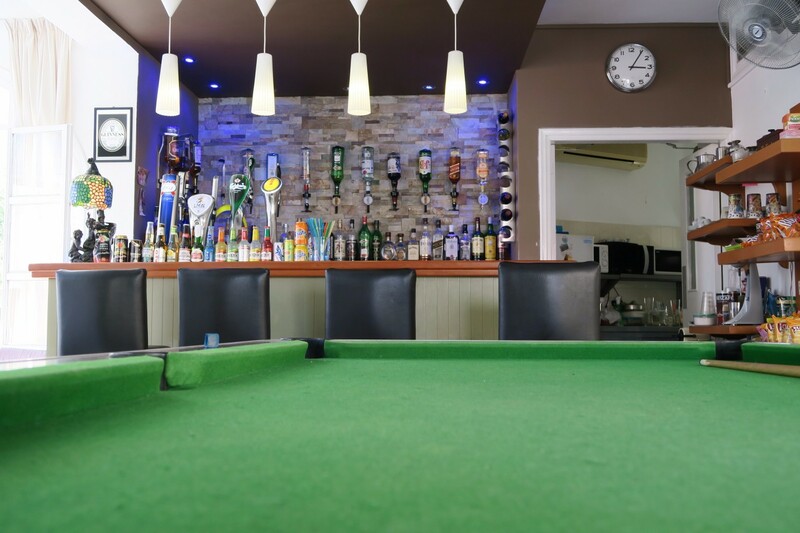 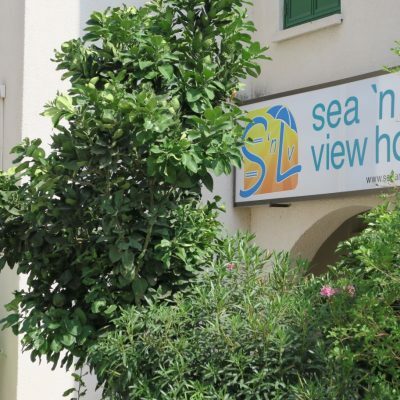 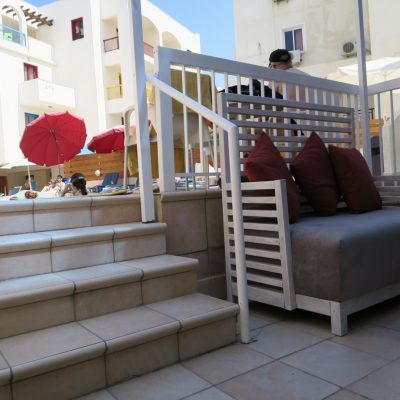 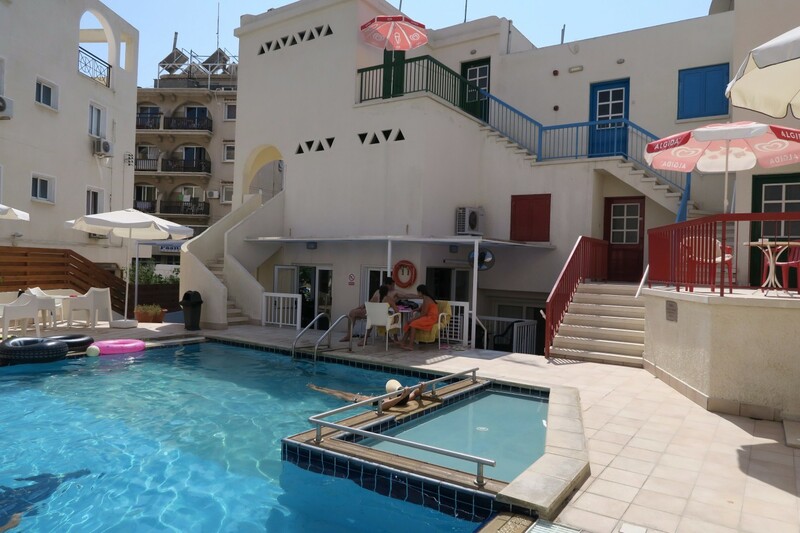 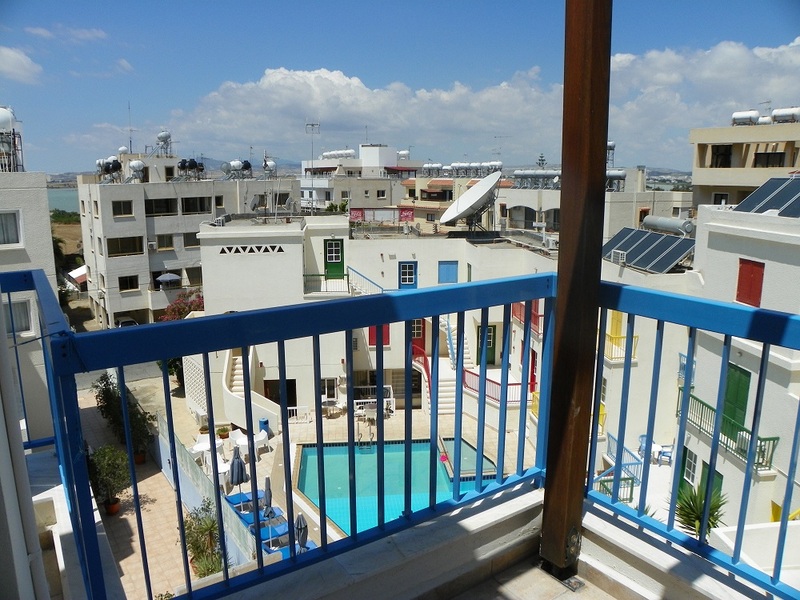 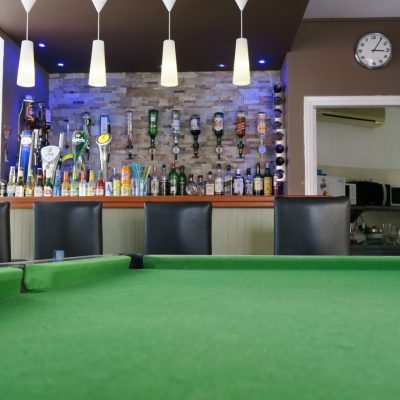 All apartments are furnished and have a fully equipped kitchen; they have their own verandahs, large and cool, ideal for sunbathing or a quiet drink and chat. 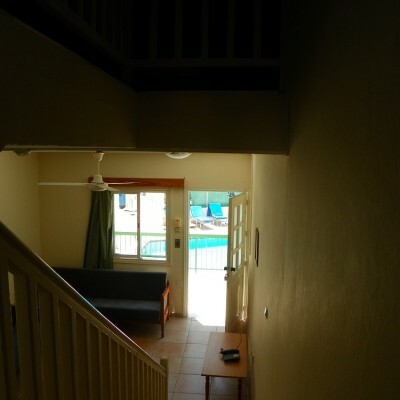 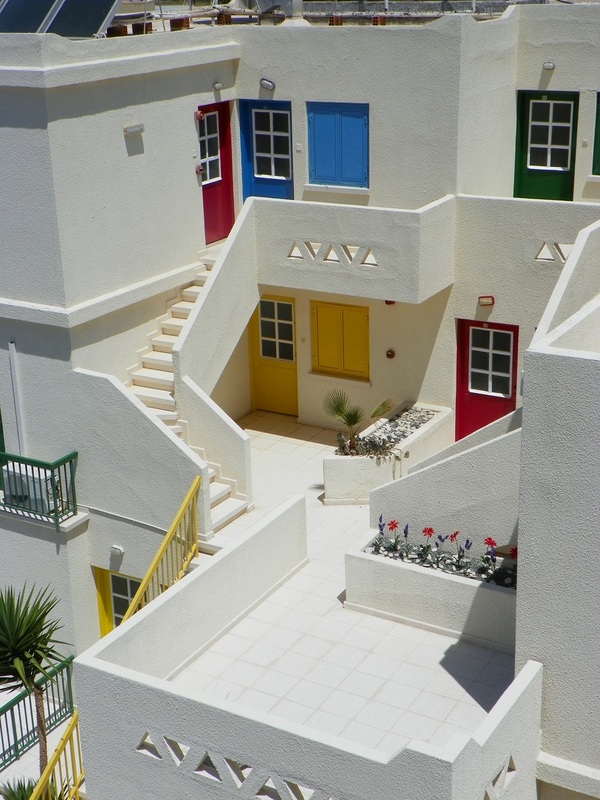 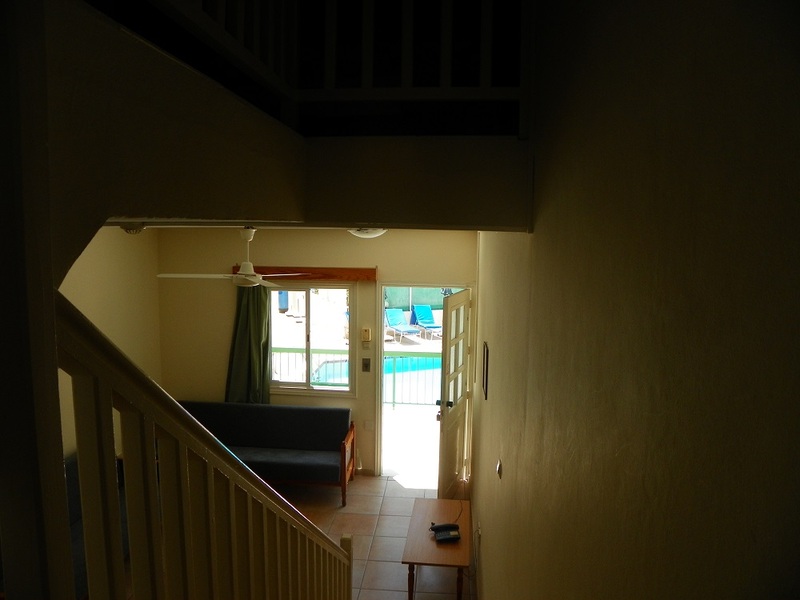 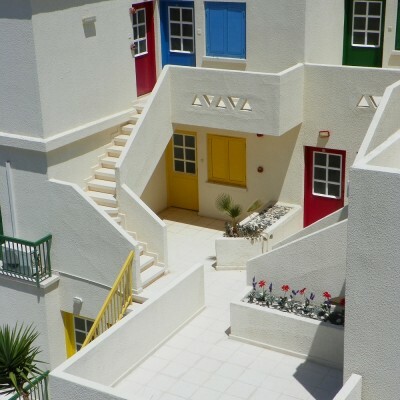 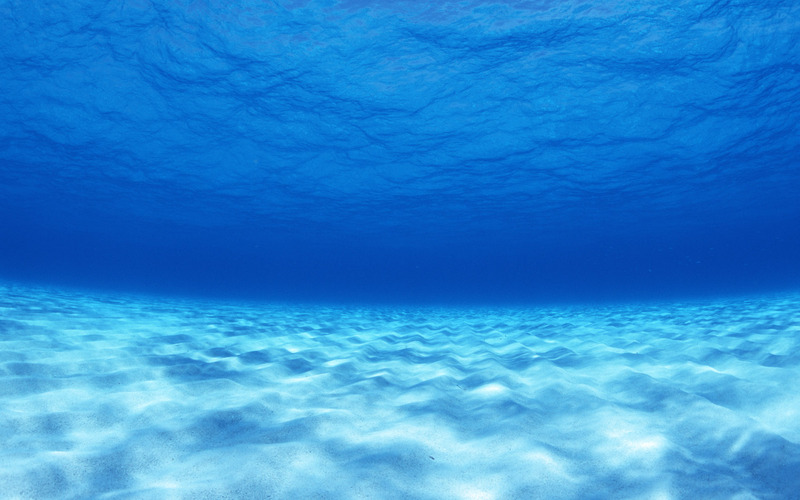 Many apartments have their own staircase leading up from the swimming pool; privacy is absolute. 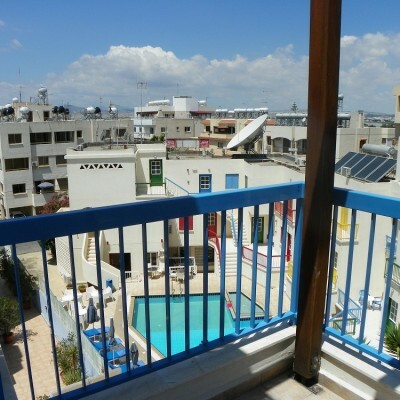 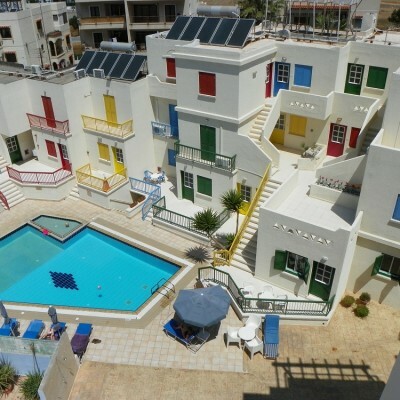 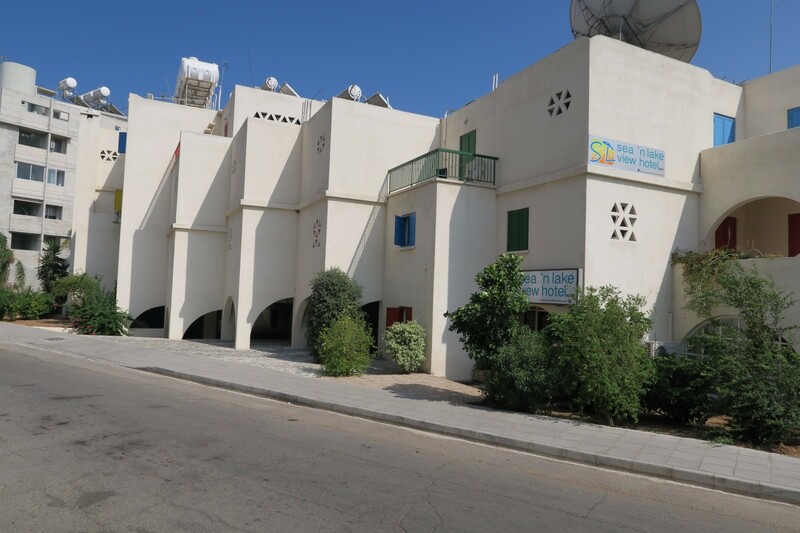 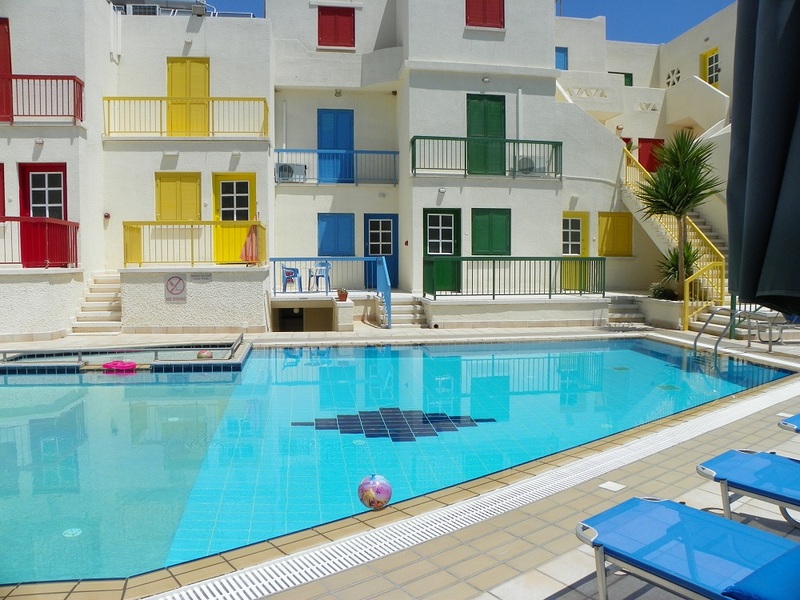 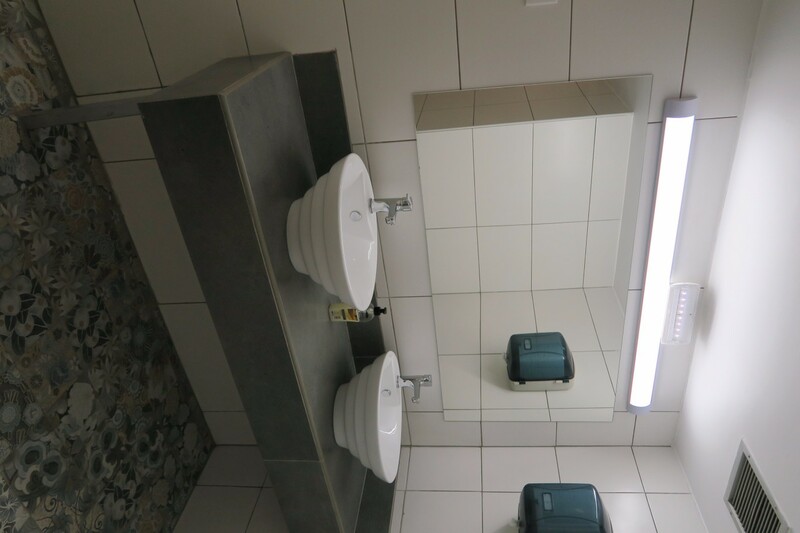 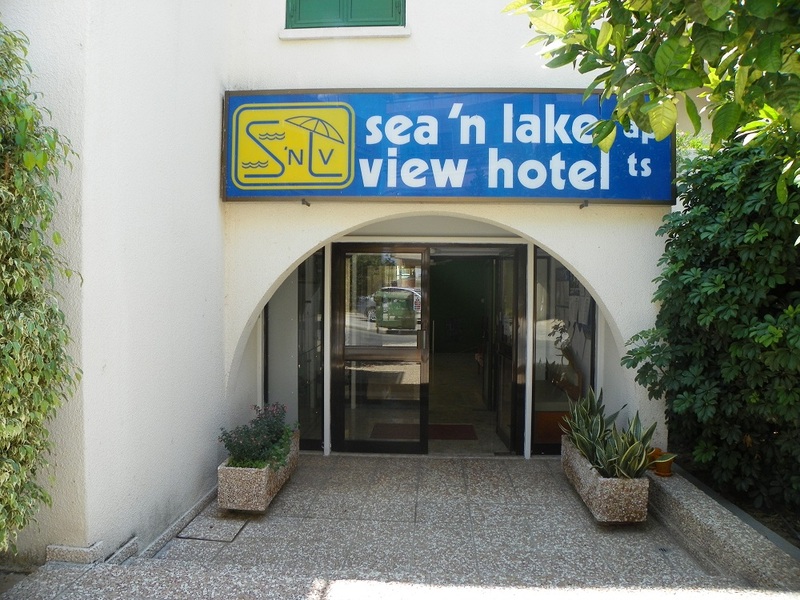 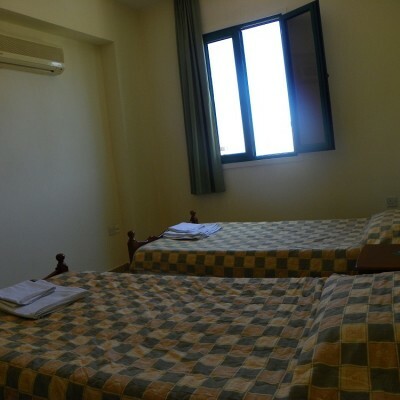 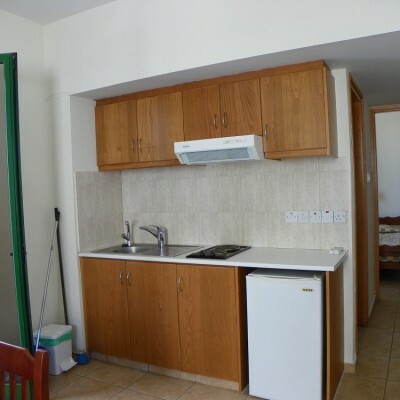 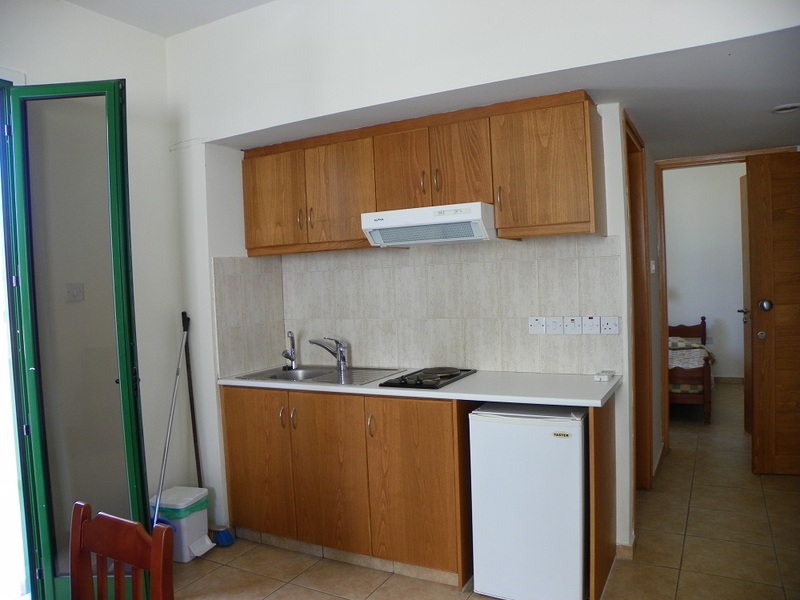 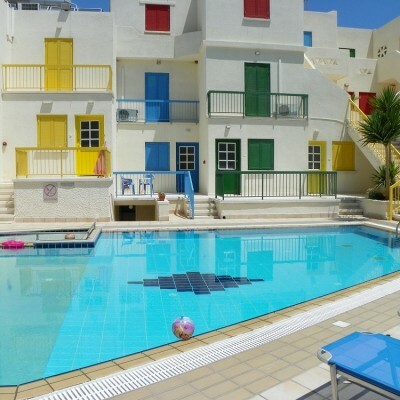 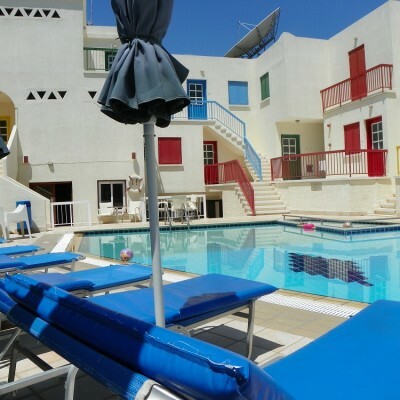 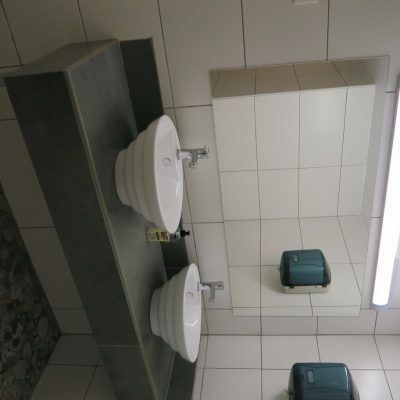 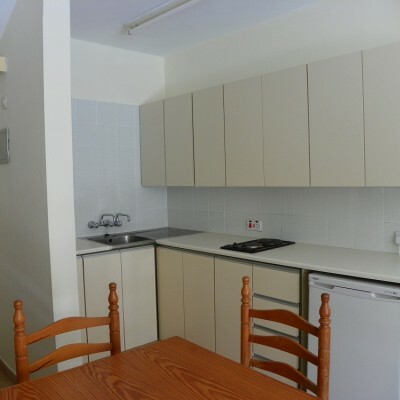 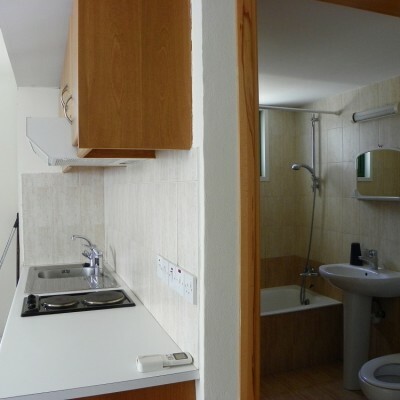 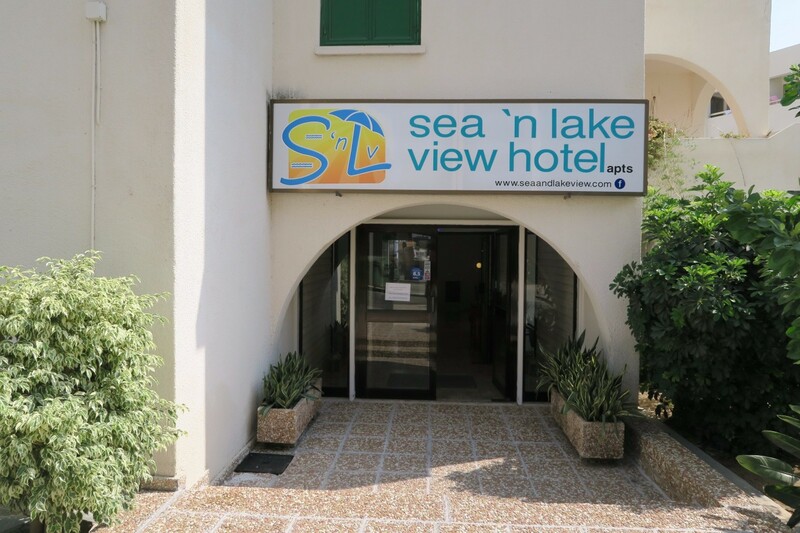 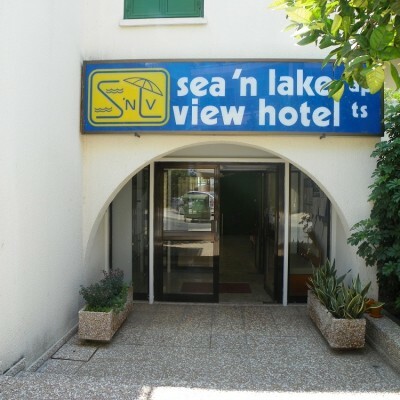 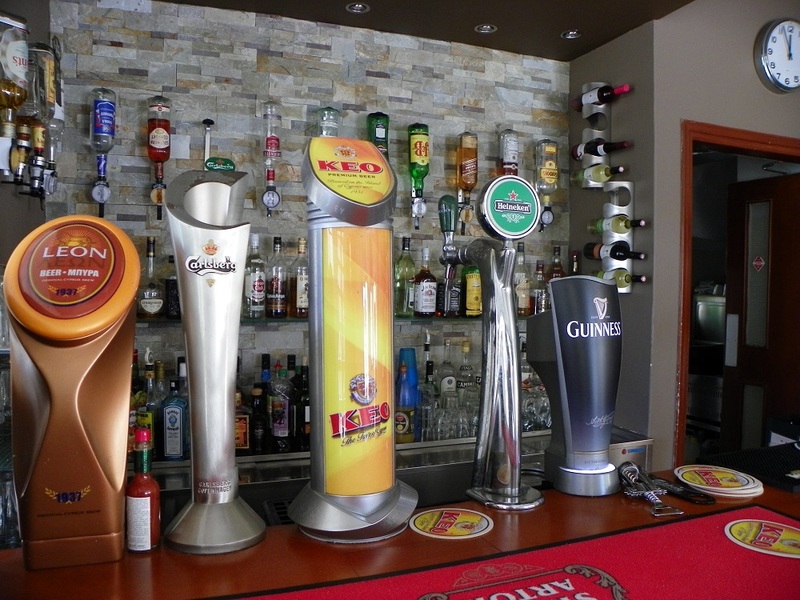 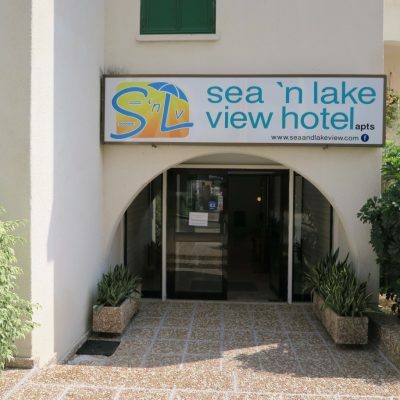 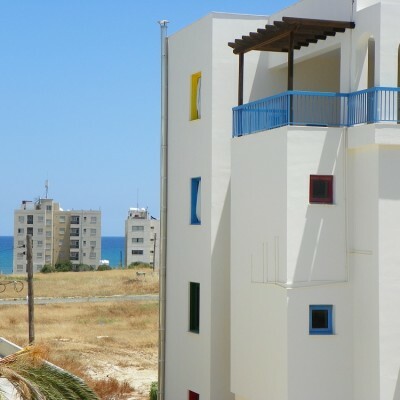 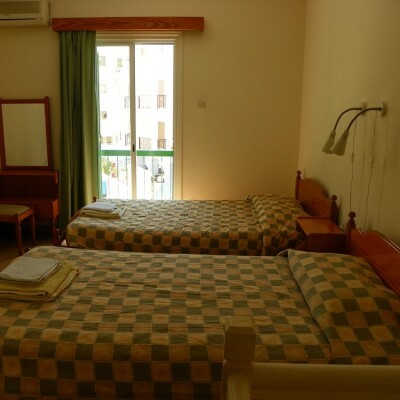 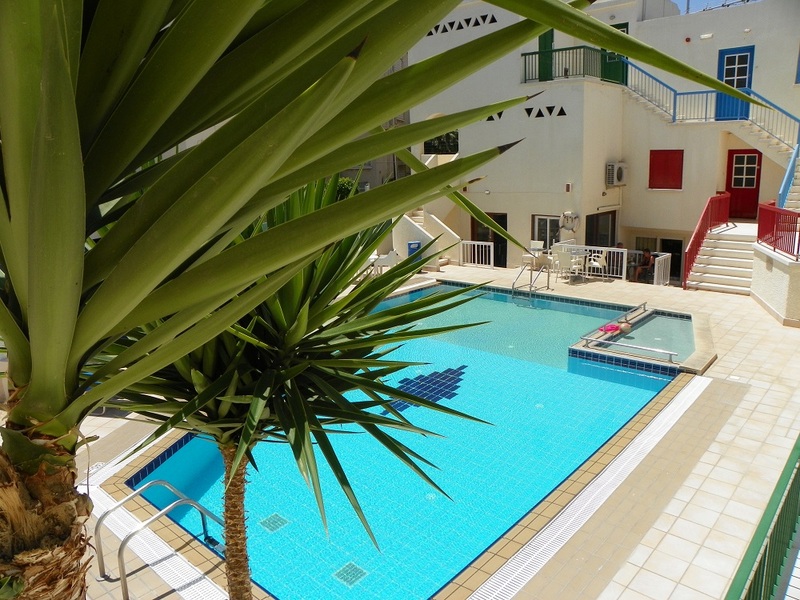 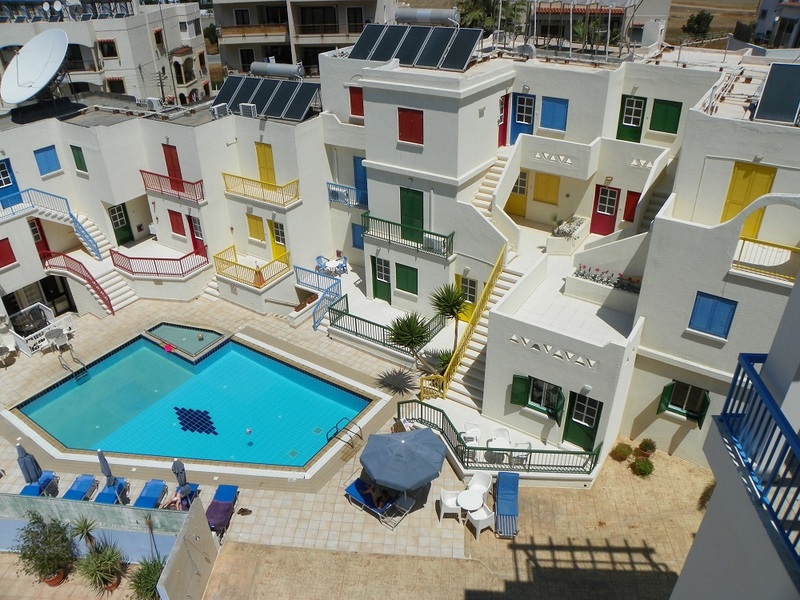 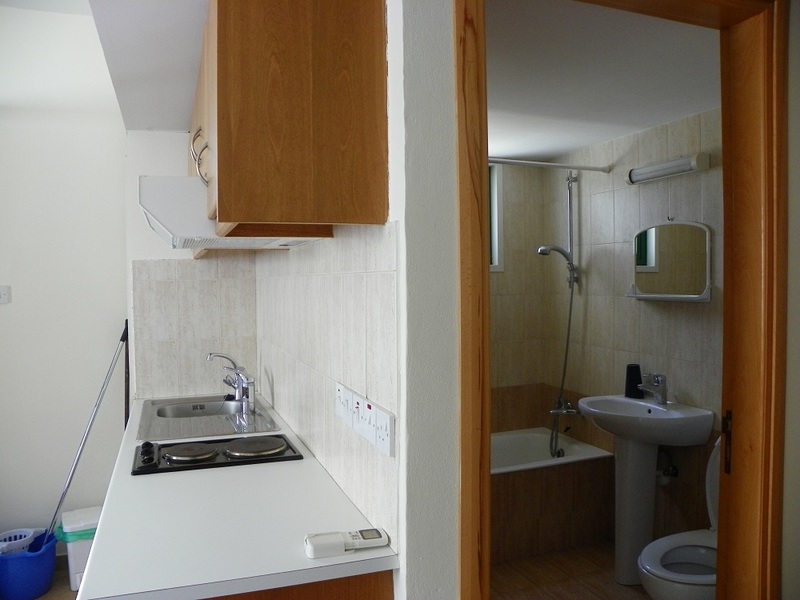 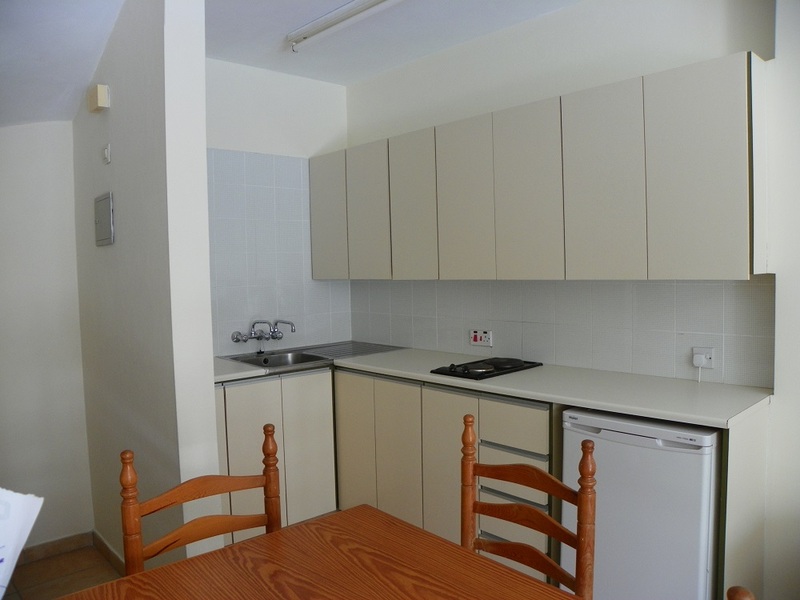 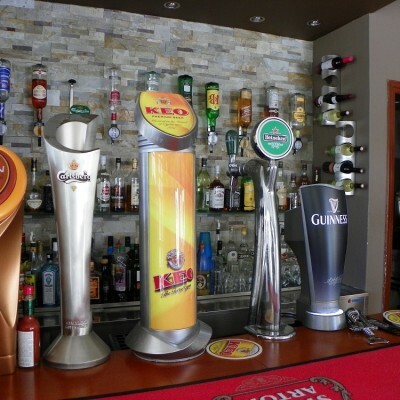 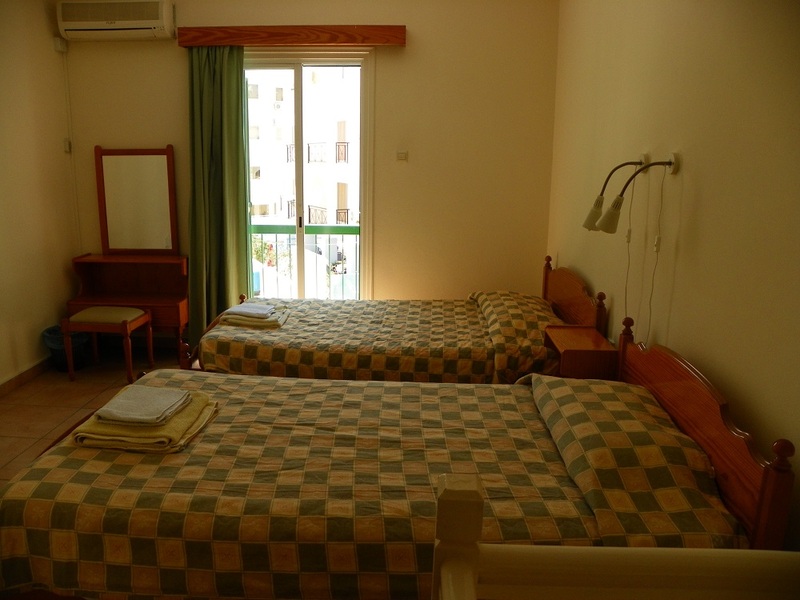 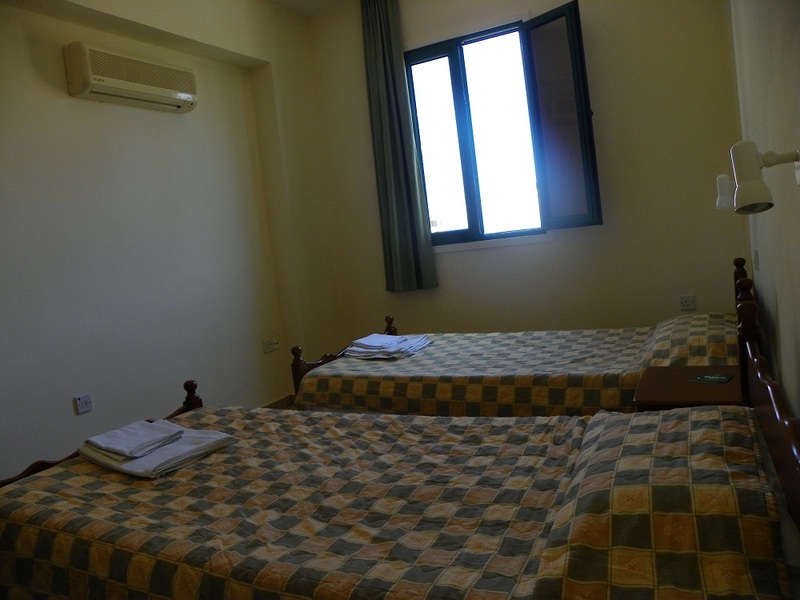 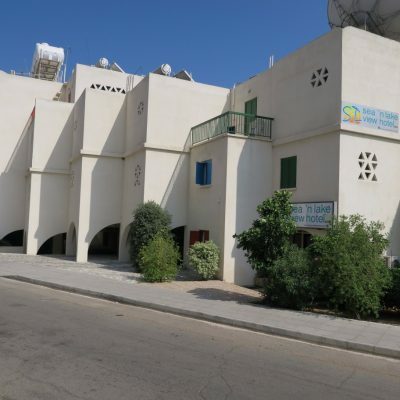 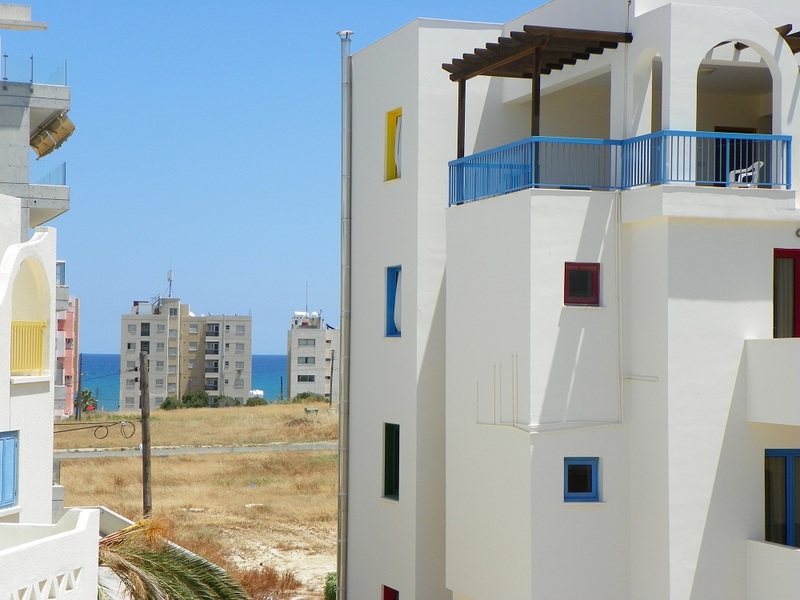 All apartments have air-condition, spacious wardrobes and en suite bathroom with bath and shower.